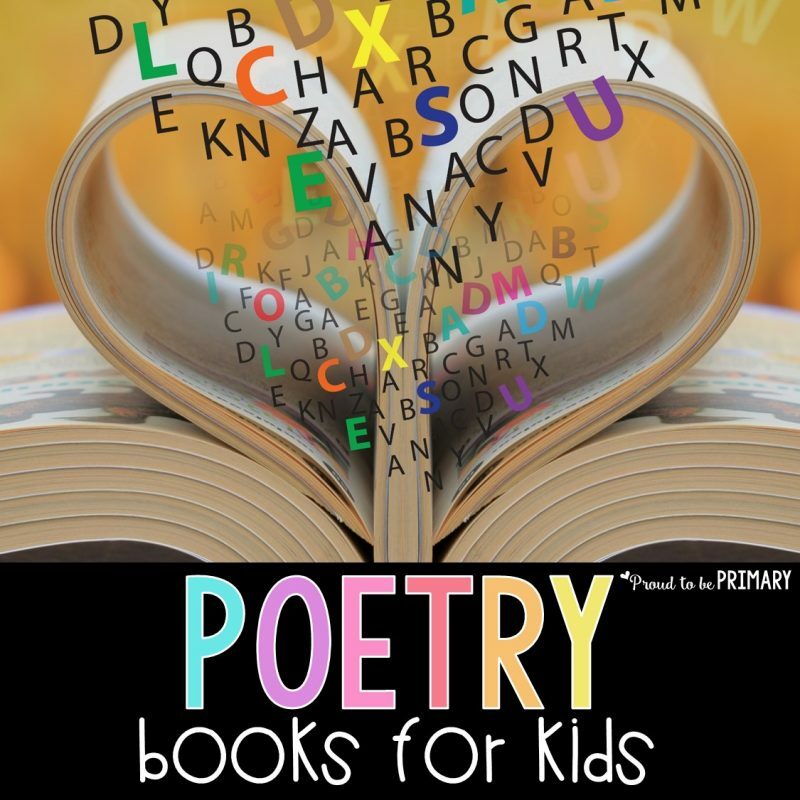 A list of 16 poetry books for kids, along with teacher resource books and information about how to teach poetry in the classroom and build a love of poetry in children. Finding the right poetry books are necessary when teaching kids about poetry. Books help develop their own love of poetry by giving them a chance to discover their passions. 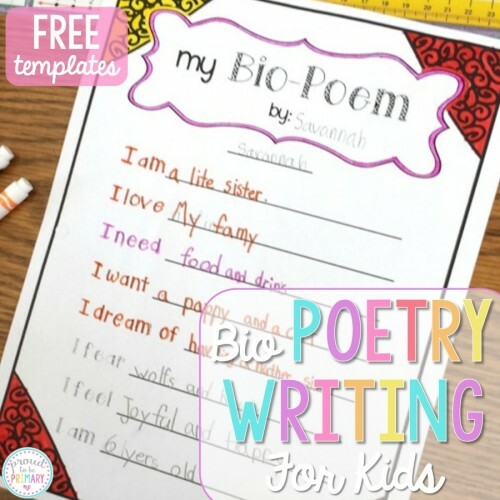 As a result, this will help them on their own journey to becoming a poet in your classroom. First, you’ll want to start by sharing examples of popular poems. Reading poems aloud is a great way to hook them! 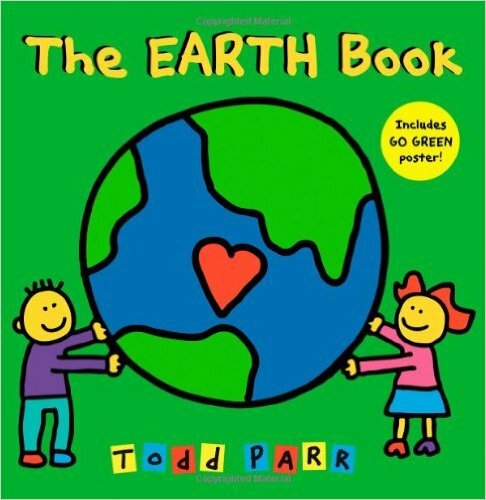 There are so many fun poetry books available for children, which can inspire kids and motivate them to their own poetry writing. If you’re looking to add titles to your library, here are some poetry books that you should definitely have. Share a few books from the list below so kids can develop a love of poetry early on. 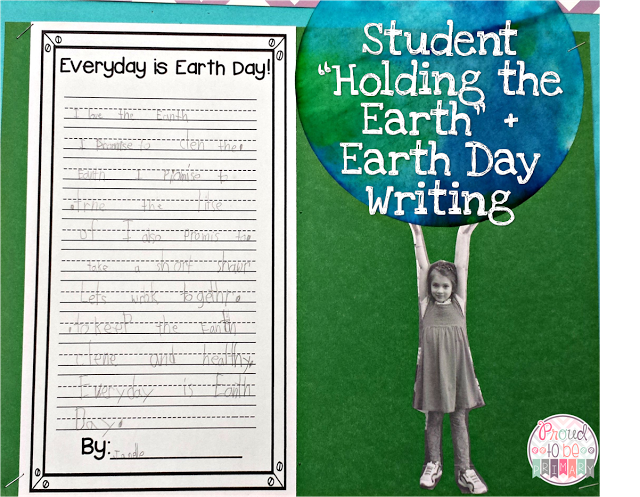 If you want to lead kids into writing their own poems, use the recommended teaching resources that will teach kids about the different types of poems and how to write them. 1. Where the Sidewalk Ends by Shel Silverstein – This poetry book is a must-have for any classroom or home. Shel Silverstein is a beloved author who writes poems that delight and inspire kids. 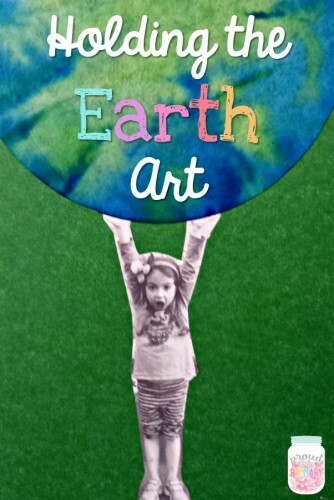 Kids will love using this book as inspiration when writing their own poetry. 2. Rainy Day Poems by James McDonald – This poetry book follows Sami and Thomas Lamb on their crazy adventures. Each adventure is written in rhyme and includes a fun illustration that will keep kids engaged and having fun. 3. Revolting Rhymes by Roald Dahl – If you have kids that love Roald Dahl books, then you’ll definitely need his book of poetry in your classroom or home library. In this book, Roald Dahl writes about classical fairytales but with a twist. 4. A Bad Case of the Giggles by Bruce Lansky – This book of poems will encourage giggle and lots of fun as its read. It includes humorous poems from many different authors, giving kids the chance to see different writing styles. 5. Feel the Beat by Marilyn Singer – This fantastic book of poetry is very unique. The author wrote each poem about a different style of dance, and the rhythm of each poem actually mimics that dance! There are so many dances represented, from salsa to hip-hop and everything in between. 6. It’s Raining Pigs & Noodles by Jack Prelutsky – If you’re looking for a fun book of poems to share with kids, then this is the book for you. Jack Prelutsky is a master of rhythm and rhyme, so each of his poems is fun and interesting for kids to read. 7. The Llama Who Had No Pajama by Mary Ann Hoberman – The book of poems is a great read for kids. 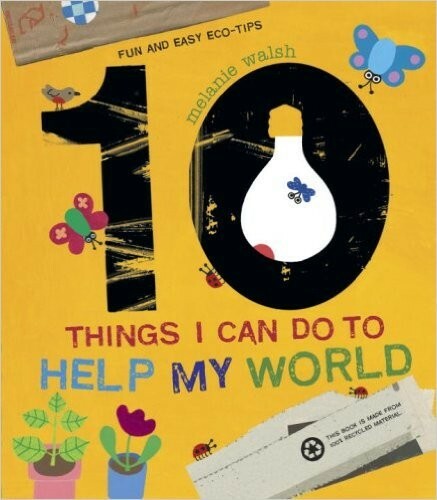 The topics written about in these poems are relevant and interesting to kids, making it a must-have for any bookshelf. 8. 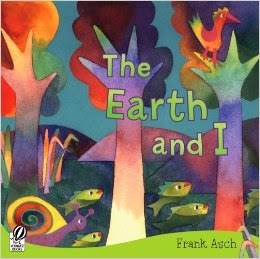 Kids Pick the Funniest Poems by Bruce Lansky – Here’s a collection of poetry that’s actually chosen by kids! Each poem will have your students giggling, helping to get them excited about writing their own poems. 9. The Giving Tree by Shel Silverstein – This poem tells a beautiful story of love and friendship. Kids will be drawn to the kindness that’s demonstrated throughout the story. 10. Once, I Laughed My Socks Off by Steve Attewell – Kids will laugh their own socks off with this hilarious book of poems. There are so many different poems in this book, from midnight snacks to Melvin the naughty teddy bear. 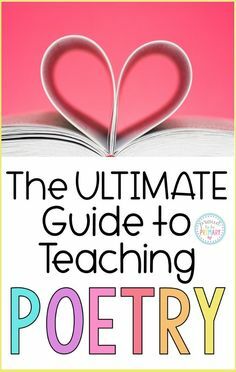 In addition to having poetry books for your students to read, you’ll also need to have teaching resources that will help you teach them about poetry. These resources should include lessons, activities, and examples of poems so that your students can understand how to write their own poems. 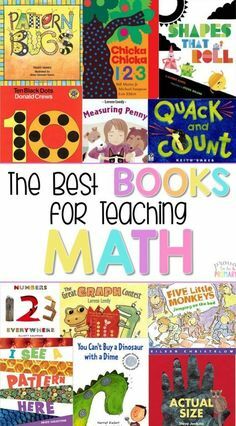 Here is a list of teaching resources that will help. 1. 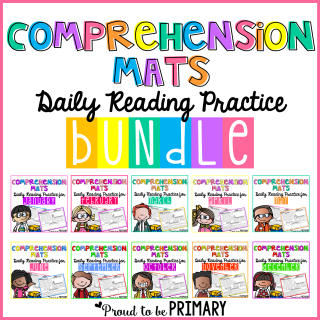 Poetry Lessons to Meet the Common Core State Standards (Grades K-5) – This lesson book includes different activities that will help your students understand poetry, as well as learn how to write it themselves. 2. 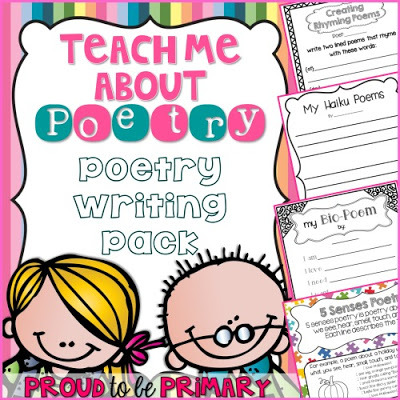 Quick Poetry Activities (Grades 2-5) – This poetry book will teach kids how to write different poetry forms. This includes portrait poems, painting poems, sense poems and more! 3. 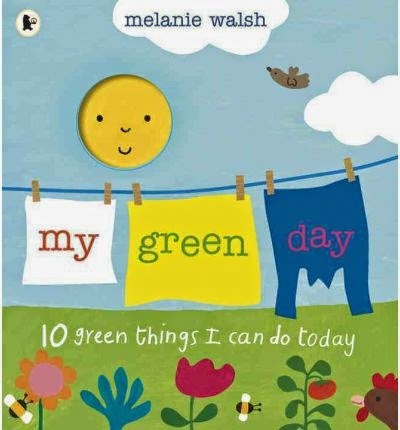 A Poem for Every Day (Grades 3-5) – You can use this poetry book as a read aloud, giving kids the chance to hear a poem each day. 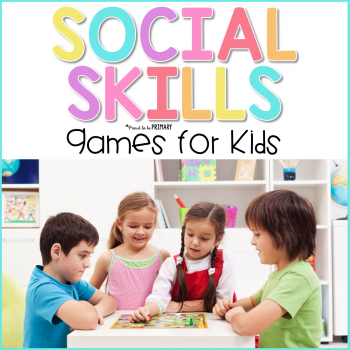 You’ll also find teaching tips and activities that will help to enhance a child’s learning. 4. 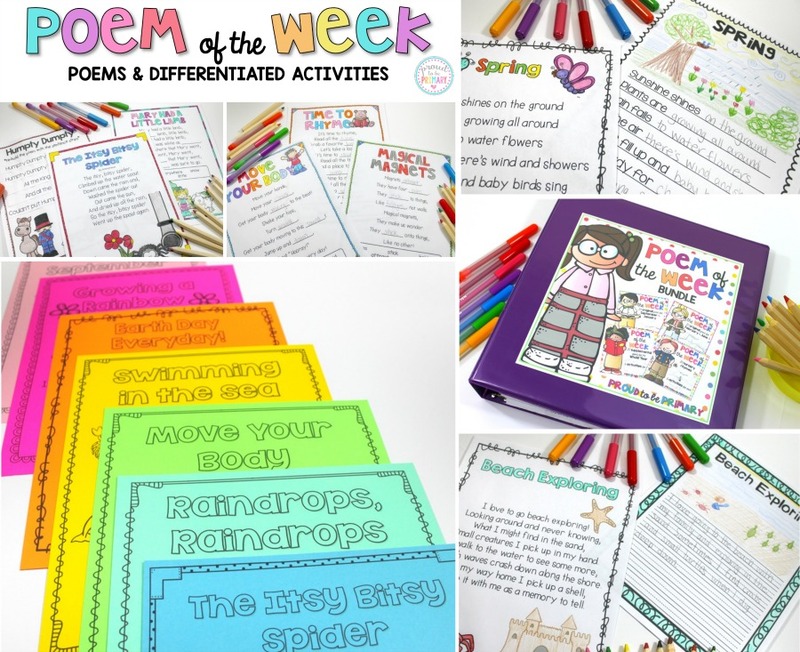 Poetry Projects with Pizzazz (Grades 3-6) – Writing poetry is fun when you use these poetry projects in your classroom or home. 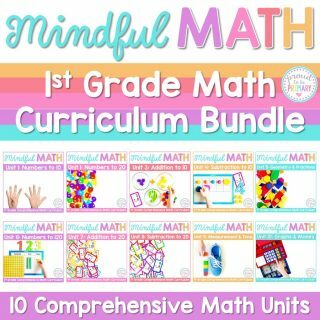 So, this resource helps kids discover unique ways to write poems, such as making a puzzle poem or pop-up poem. 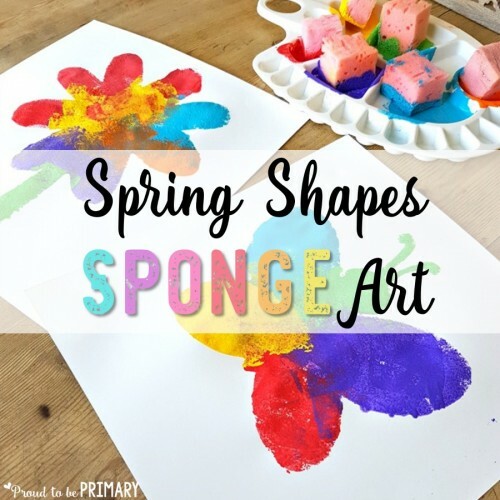 You’ll love watching a child’s creative side come out! 5. 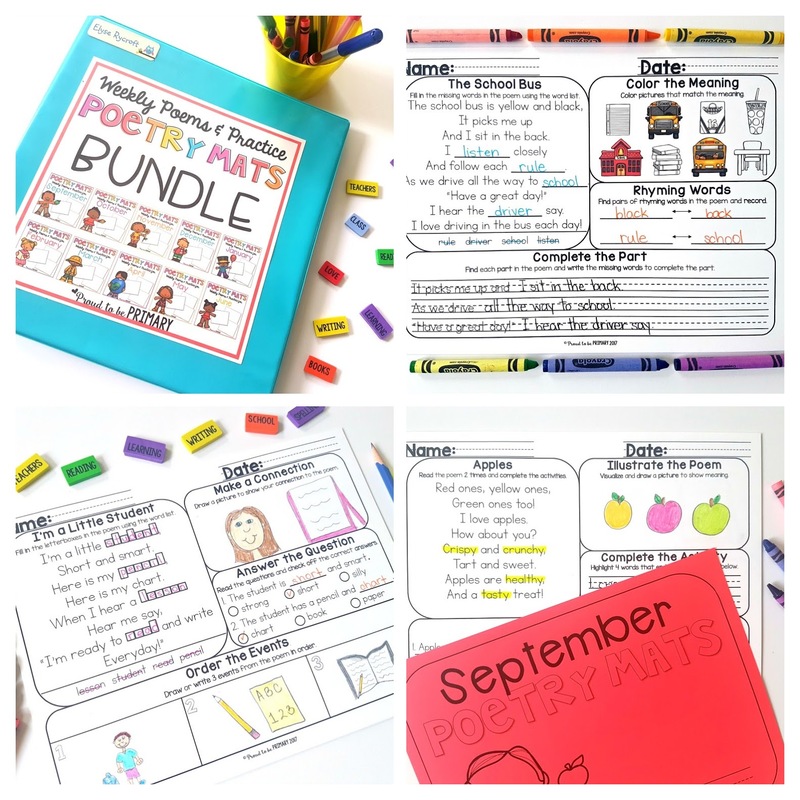 Poetry Matters: Writing a Poem from the Inside Out (Grades 5-7) – You’ll be able to use this teaching resource to help kids understand more about poetry, including tips and tricks for their own writing. Also, you’ll find interviews with poets, and examples of writing for inspiration. 6. 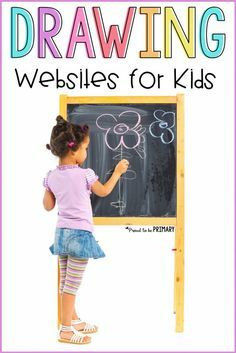 How to Write Poetry (All Ages) – If you’re ready to teach kids how to write poetry, you can use this teaching resource. With it, you’ll be able to help kids with their creative writing as they learn how to write their very own poetry. 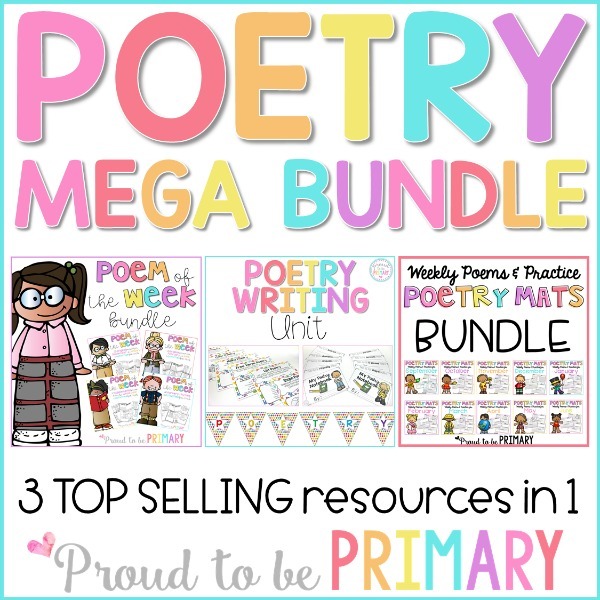 Find essential resources for the K-3 classroom with the Poetry Mega Bundle. 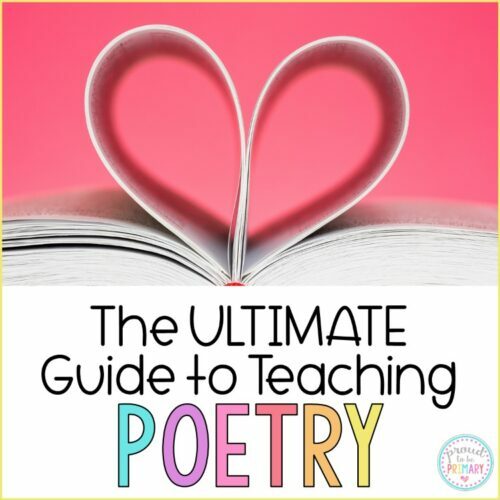 It includes 3 complete resources to will encourage a love of poetry in your classroom! 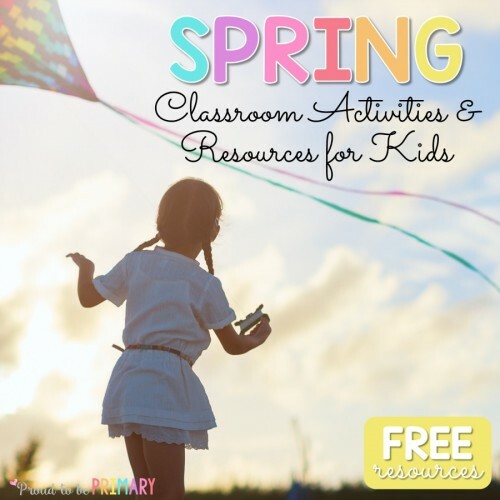 Find free poetry activities and other helpful poetry links HERE. Why is poetry important? 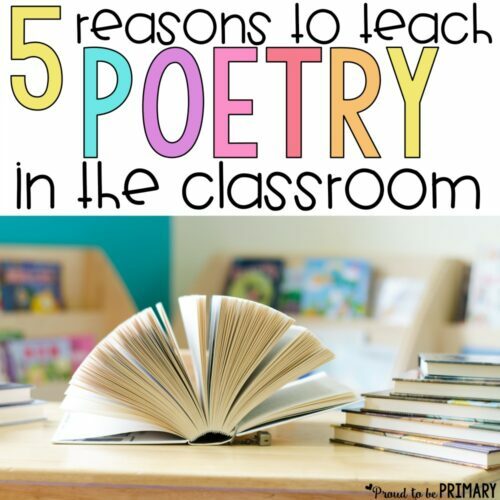 Read the 5 reasons that support the importance of poetry in primary school and instill a love for poems in the classroom. 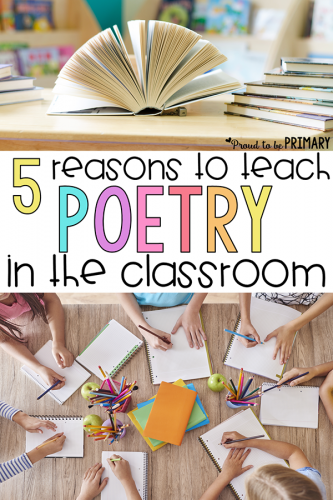 Read the 5 reasons that explain the importance of teaching poetry, and instill a love for poems in the classroom. 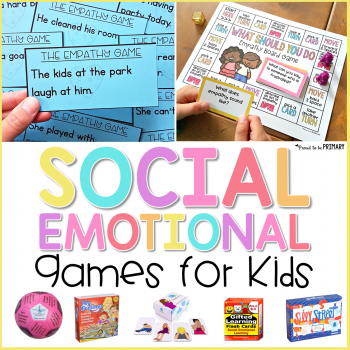 Children will love these activities that build reading, writing and language skills. There tends to be two types of teachers when it comes to poetry. Ones who love it and bring it into the classroom freely and often. Then there are others who stay clear. This may be because they don’t think it fits with the curriculum and what they are teaching. They may not “have time” to fit it in. Or they may not enjoy poetry themselves and this prevents them from introducing it in the classroom. If the love is not there *yet* for you, I give you this challenge. Give it a try! Open a book of poems. Read the odd poem to your class. 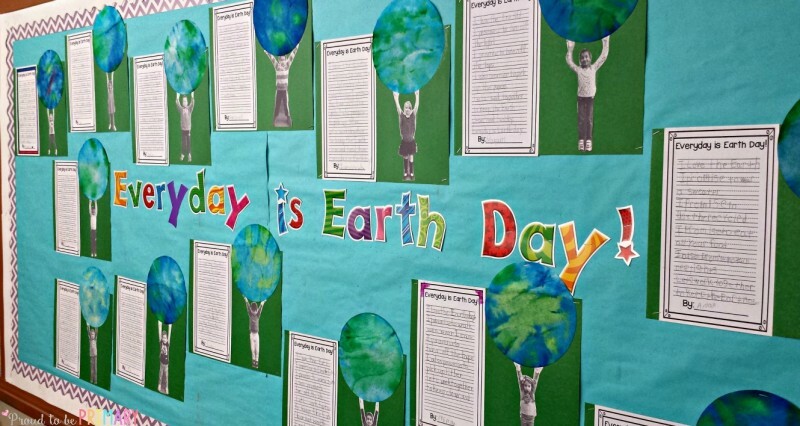 Find a poem that goes along with your classroom theme and share. Ask children about their experiences with poetry and how it makes them feel. Poetry has a place in our curriculum. 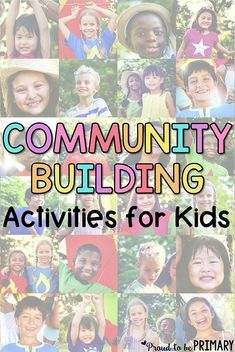 It can be taught as part of reading, writing, and language lessons and it fits easily into classroom themes, projects, and celebrations. It can add additional value to our studies. 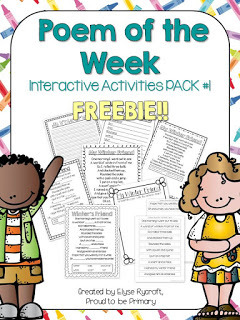 Poem of the week activities can be easily implemented to strengthen language arts lessons. This post includes 5 reasons to teach poetry in the classroom. If you are a poetry advocate already, I hope you gain some additional insight and ideas to strengthen your program. If you are reluctant to teach poetry, I encourage you to read the reasons why and to find out for yourself. The reasons listed, as well as FREE activities to try, will help guide you in the right direction! Why teach poetry? Children need to learn to read a variety of text and poems are one of those forms. The special thing about poetry is that we often read aloud, repeat often, and share in groups. 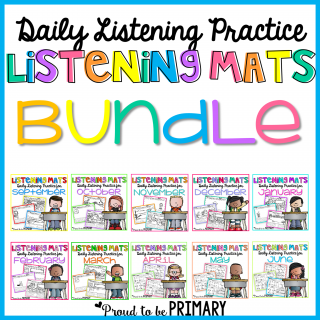 When children are listening to poems being read orally, they are building their listening skills. They learn to attend to the words they hear and to think about what those words mean together. Reading comprehension also results through discussions about meaning, connecting, and visualizing. 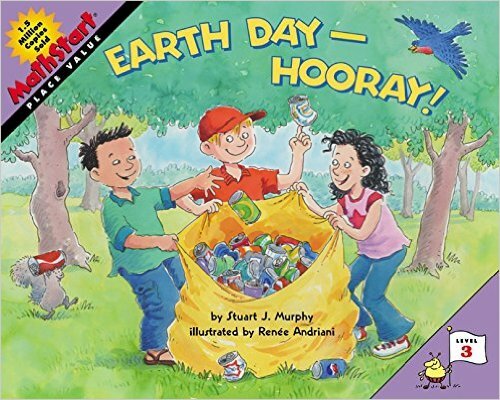 Encourage children to visualize the poem as it is being read aloud. They can draw a picture or think quietly about what they hear. 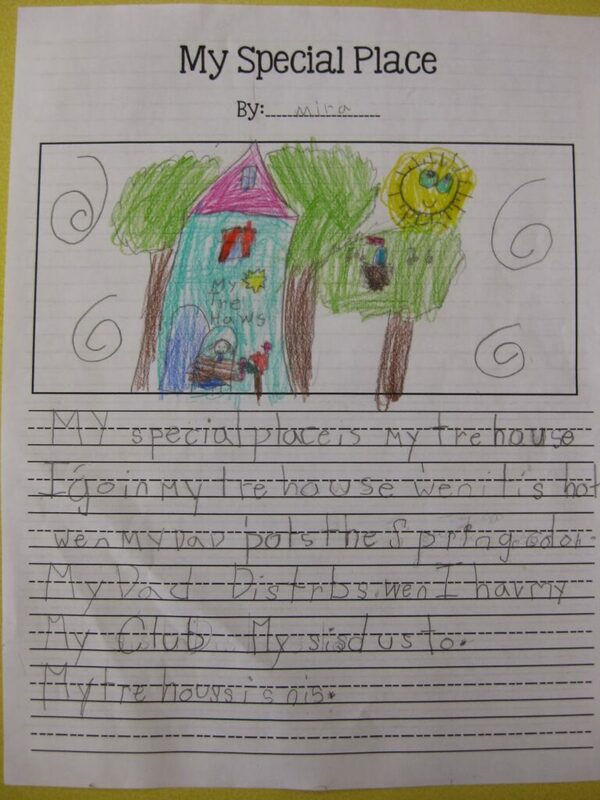 Ask children to share what they think a poem is about or what they think a word or line means. Naturally, children will connect to what they hear. Ask children to share their connections to their own experiences. Poetry provides teachers with a special tool. A tool that can be broken down and evaluated in parts. A tool that can use used to teach many literacy skills. Poetry often contains words that rhyme for effect. Children can learn about phonics and letter sounds by listening for and locating rhyming words. A poem can be used to teach sentence structure, parts of speech, and many grammar skills. Teaching grammar in engaging ways can be a struggle. Poetry can help! Poetry builds vocabulary. Children are exposed to words they have not heard before and they hear them in context. Discuss new words with children and ask them to point out ones they are hearing for the first time. 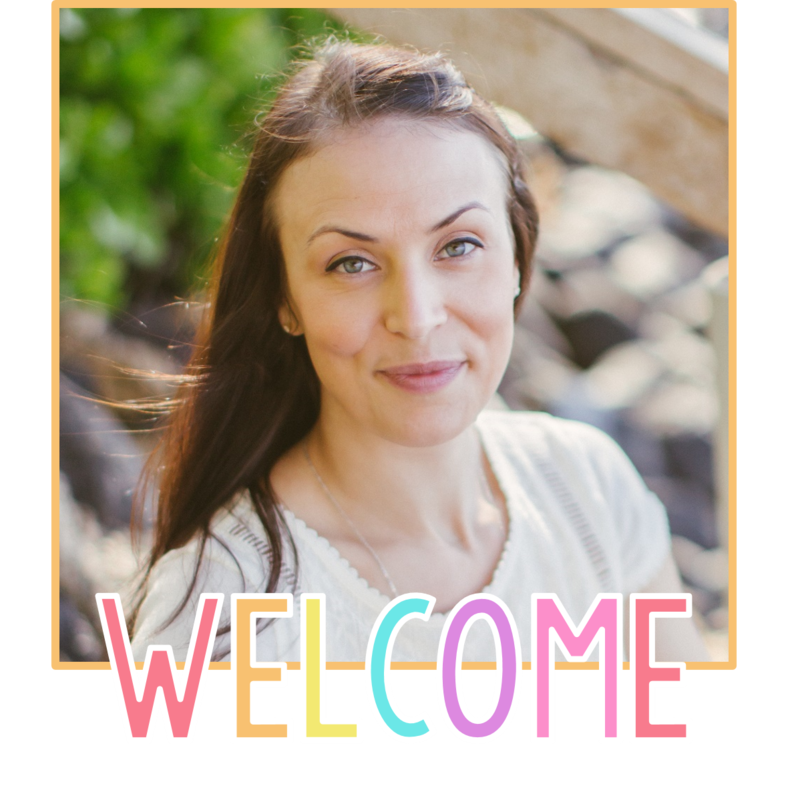 This provides a venue for ELL learners to learn and build language. 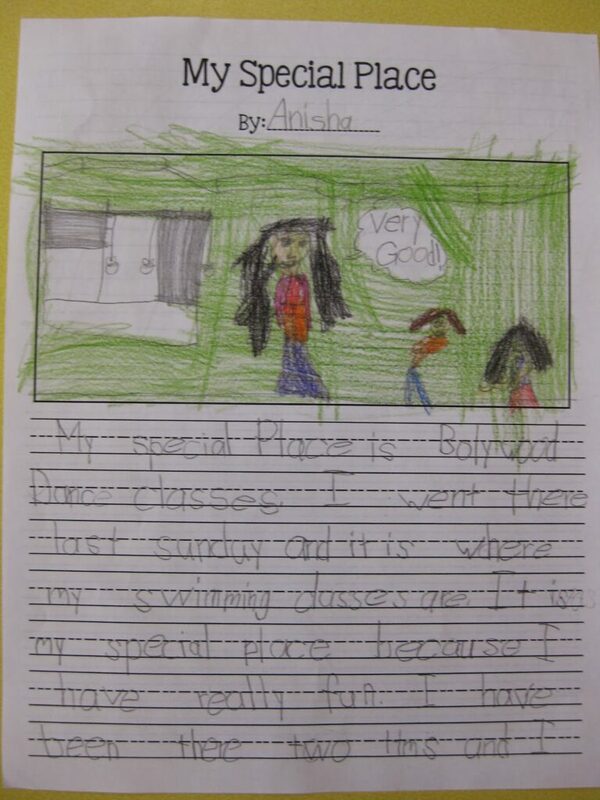 Not only are children hearing new words, they are learning how words are chosen for effect and to create imagery. 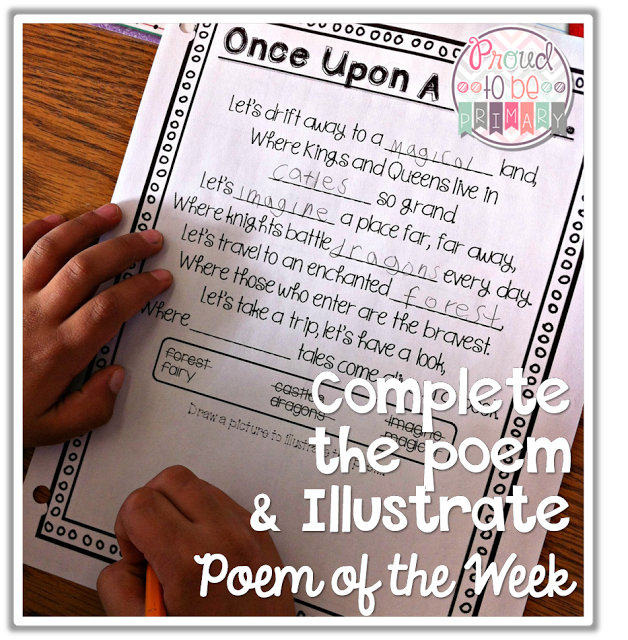 Explore a poem of the week during a class meeting. 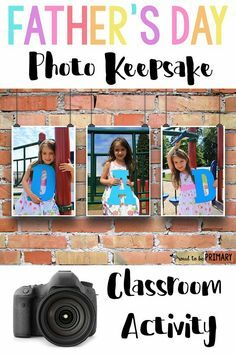 Encourage children with activities such as locating sight words, finding new words, or focus on a particular skill you are teaching in class. 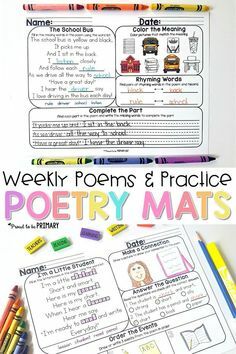 Poetry Mats are a valuable resource for practicing many skills. Poetry offers a way to teach that is memorable and motivational. The opportunities to learn through poetry is endless! Teach how poems are constructed and the words they contain. It is the first step to writing. Different types of poems have different components. In poetry, we learn how to put words together to form meaning and context. We learn how to choose the right words to create imagery and effect. When we break poems down into their parts, we learn a lot about how writing comes together. We learn how to follow a pattern and put words in a certain order. The simple patterns found in some poems are fun to follow and great places for children to start learning to write. 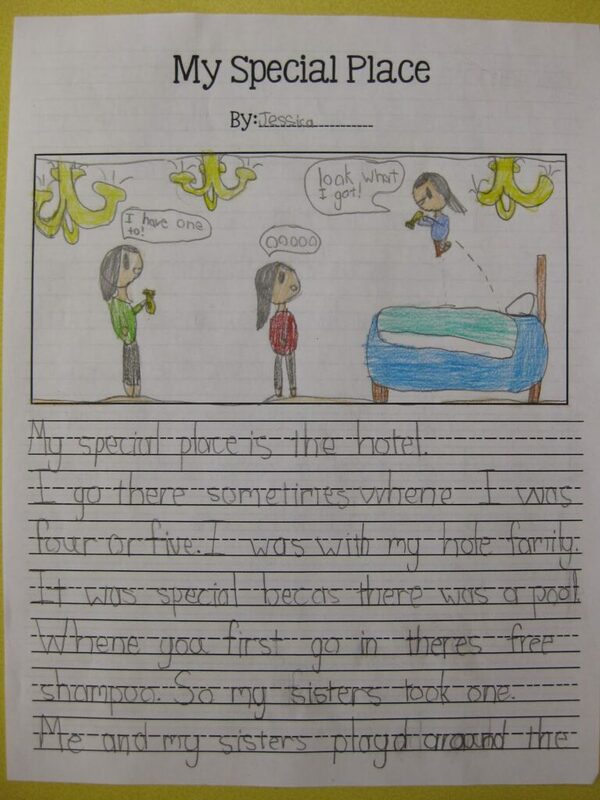 Writing poetry is a transferable skill that will help children write in other ways and styles. 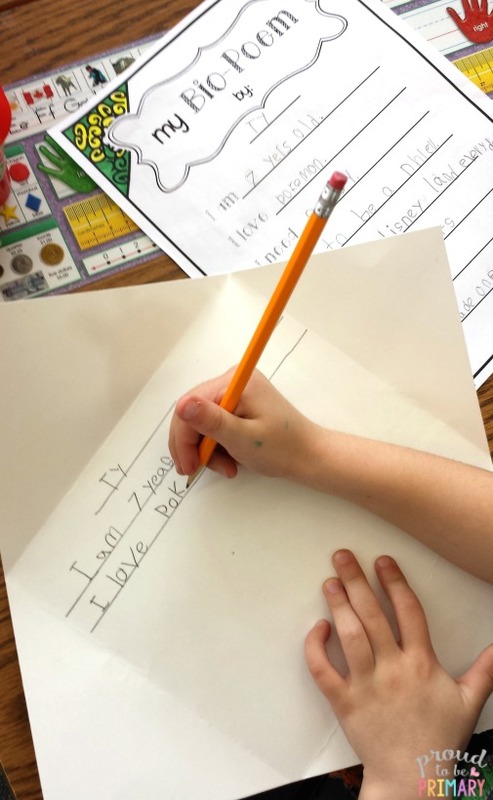 Start teaching poetry to children early as they begin to learn to write. 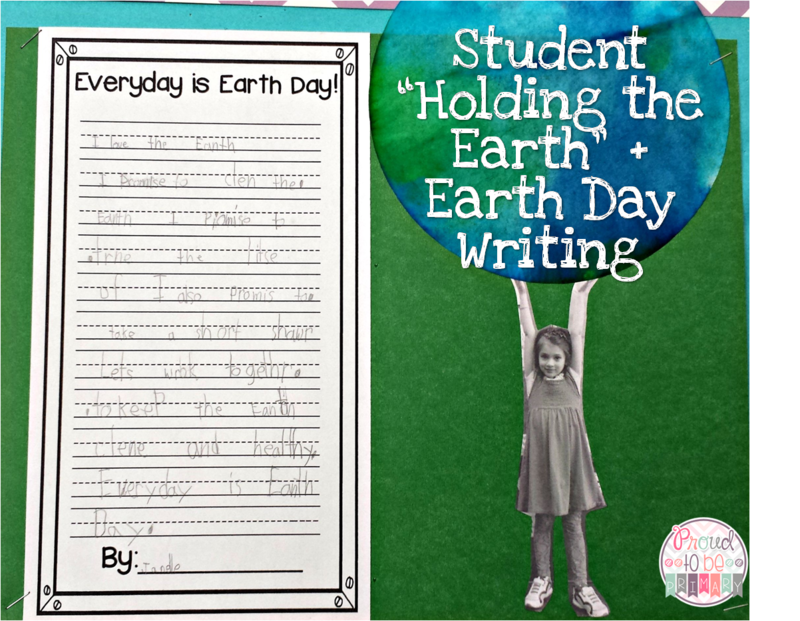 A good poetry writing unit includes planning and brainstorming activities, templates to practice and write, and ways to display poetry. 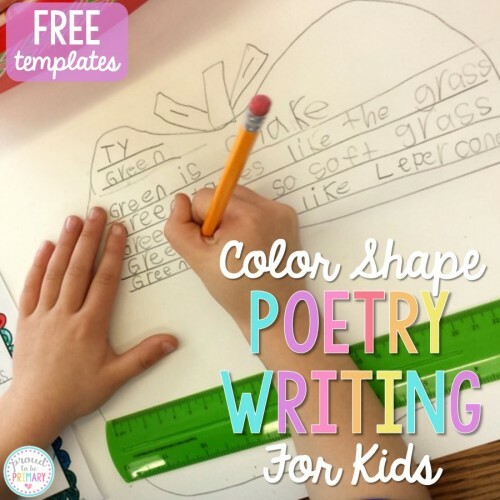 Start by teaching simple poetry forms that follow a pattern and that children can easily connect to. 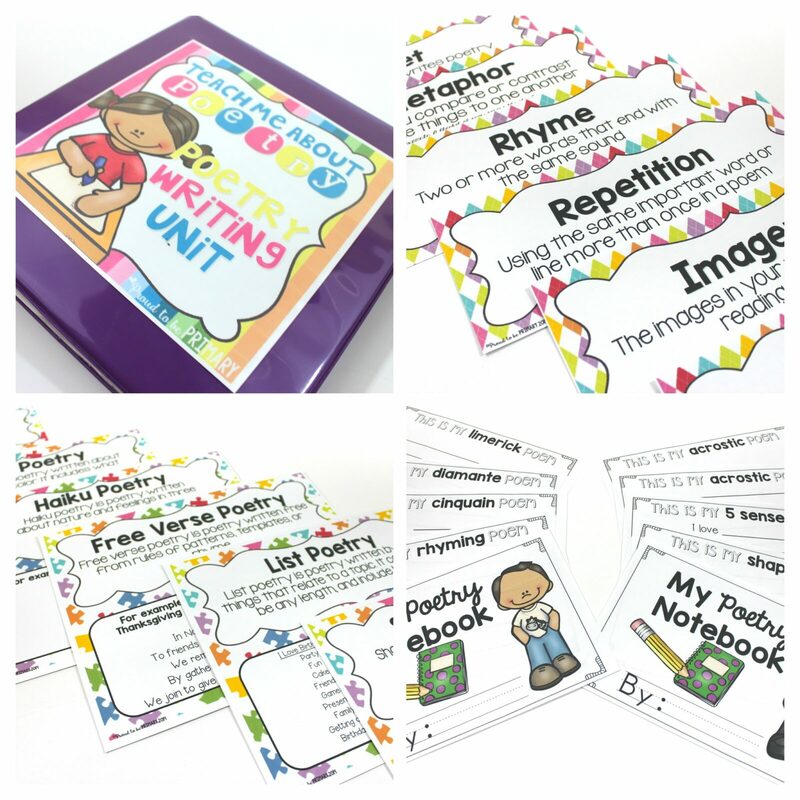 Try these free lessons as a fun start: acrostic poetry, shape poetry, autobiography poetry. Poetry is a form of expression. 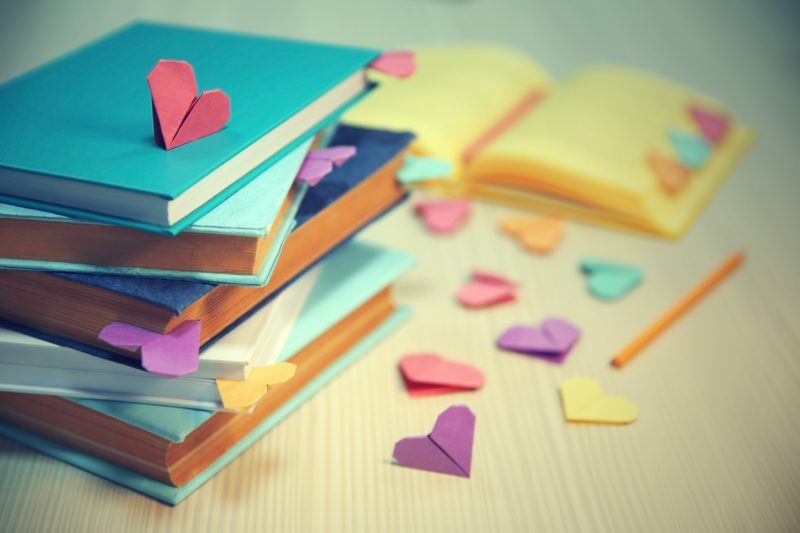 Writing it lets us get out our feelings and thoughts on a subject while, reading it encourages us to connect and find meaning in our experiences. 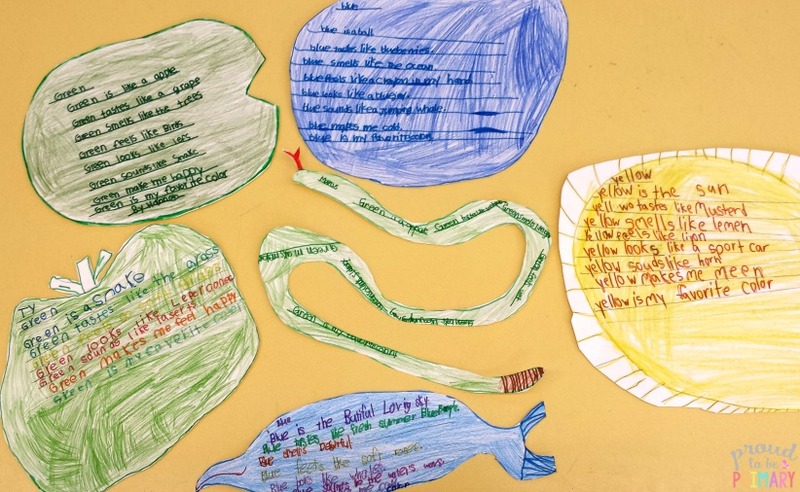 Poetry can have a positive impact on the social and emotional learning of children. It may offer them a new way of thinking about something. It can put things into words that children may not know how to express otherwise. Poetry encourages children to express themselves and their feelings. Jeanette Winterson, a poet and writer, once said “It isn’t a hiding place. 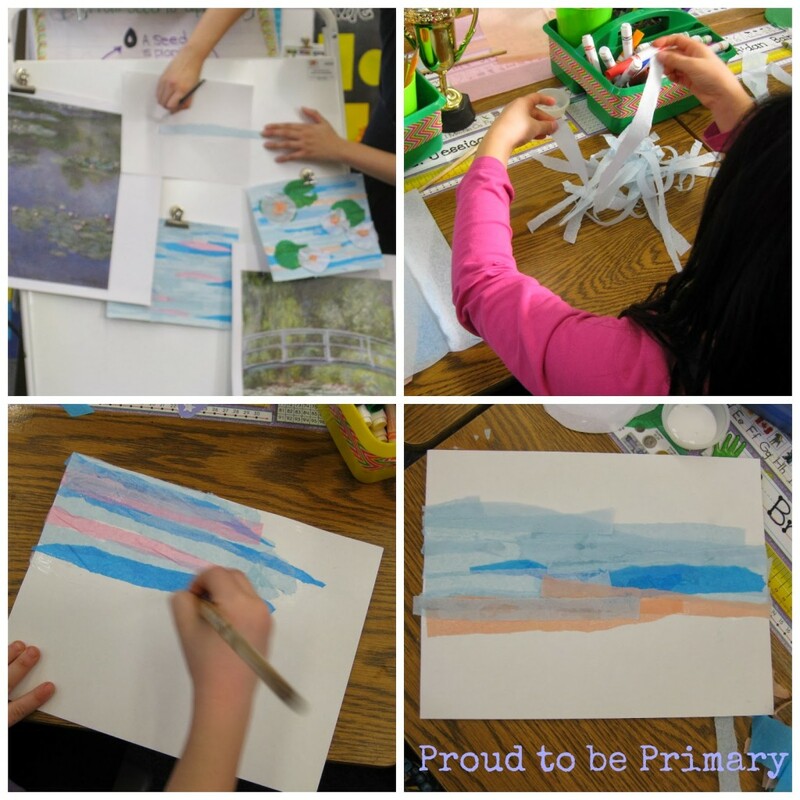 It is a finding place.” Poetry inspires children’s imaginations to run wild. 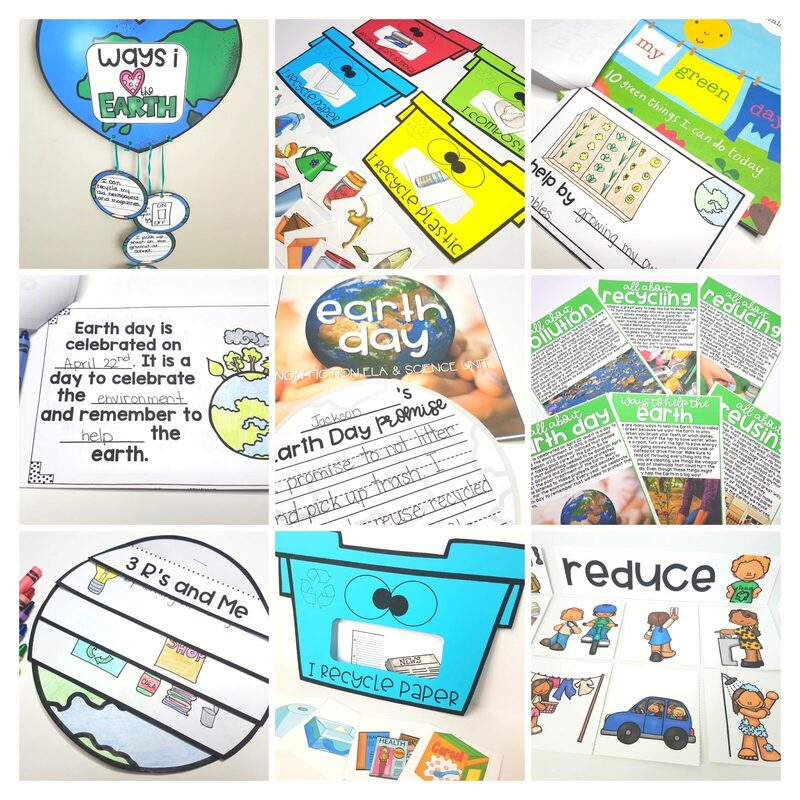 As children learn to read, expose them to a variety of styles and types of text. As teachers, we want them to love the act of reading and what they read as they learn. Learning to read can be hard work and the books children learn first often lack that unique ingredient. Poetry is different. It has that special sauce that children crave and so much more! Children have a natural curiosity to foster and encourage with poetry. It creates enchantment and wonder in a child’s mind. 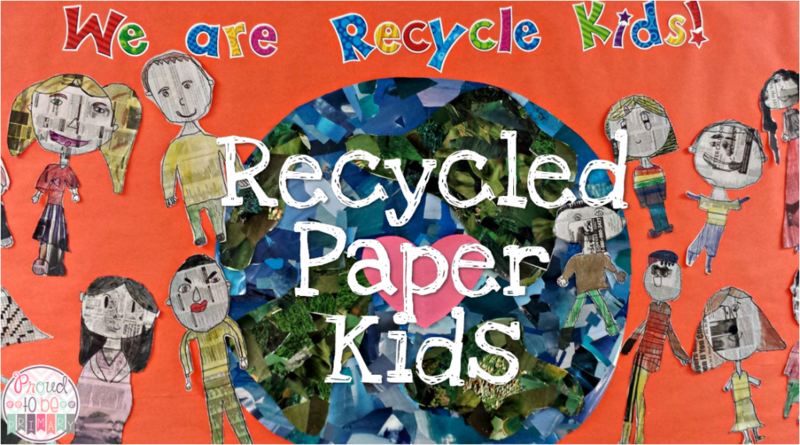 Poems encourage kids to imagine new worlds and experiences. Poetry is great to share with children, but also have available for them to them to choose and read independently. Poems provide enjoyment and laughter. Poems are engaging and fun to read! They encourage kids to move with the rhythms they hear and add actions. Teach poetry to children otherwise, they may miss out on it completely. Children tend not to choose books of poems to read if they haven’t been exposed before. Break this barrier and share it with them. Build the love for poetry together! It is important to find great examples of poems to share with children. 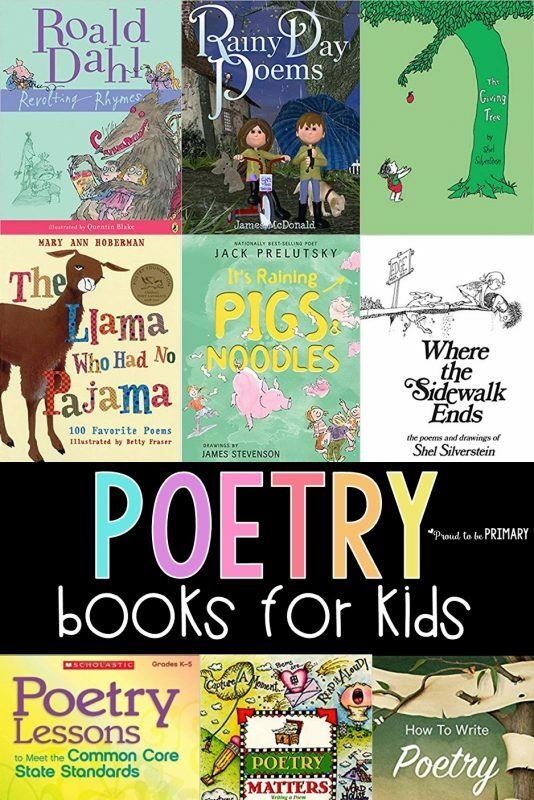 Jack Prelutsky, Dennis Lee (a Canadian poet fav), Dr. Seuss, and Shel Silverstein are a few amazing authors who have written a variety of poetry and books for children. I guarantee if you share any of the selections below you will build a love of poetry that will last a lifetime! 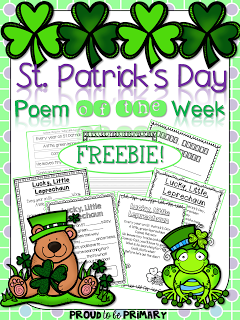 Click the image below to download a FREE sample poem and activities from on Poetry Mats! Integrate the following resources into the primary classroom and into any language arts curriculum. 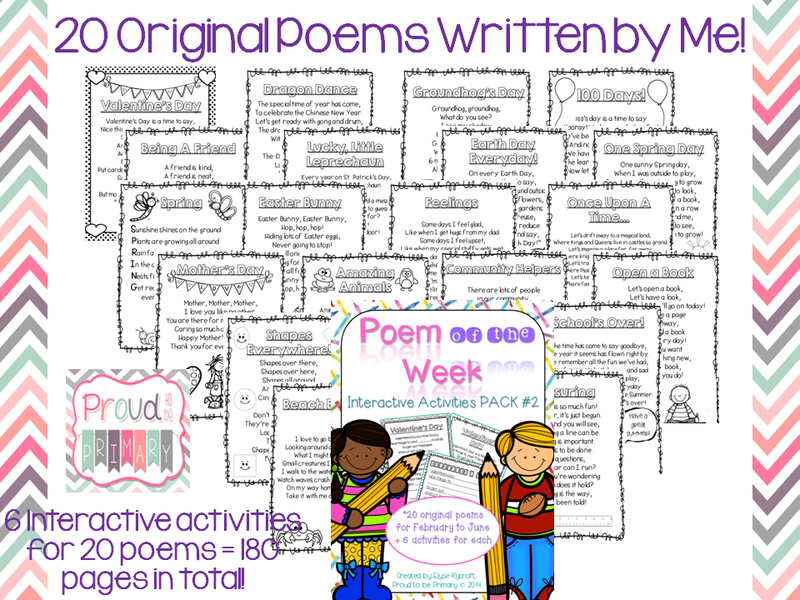 Each offers a wealth of engaging poems and activities to build a ton of skills and a love of poetry! 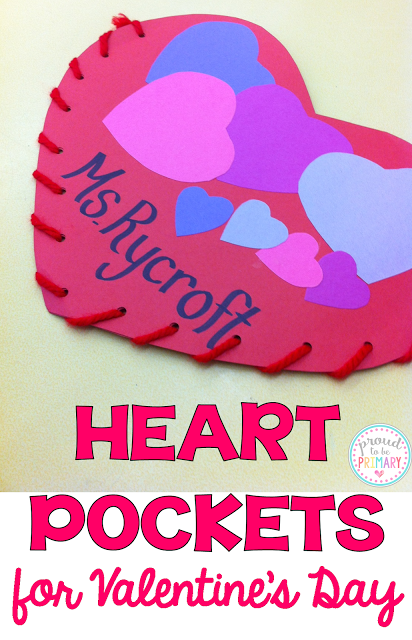 Valentine’s Day activities for elementary school, including poetry, student gifts, FREE printable game, heart pockets for cards, and more! 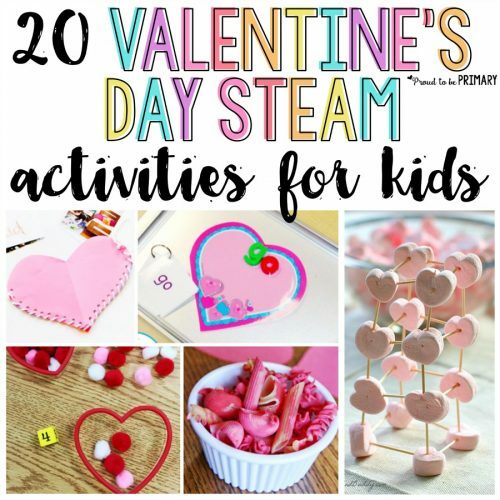 I love February and all the fun we get to have with kids this month! 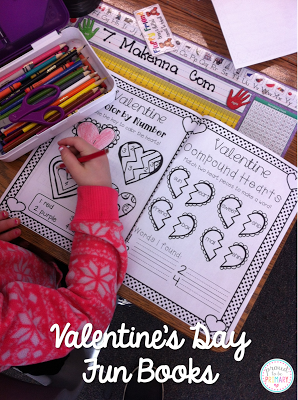 We learn about Groundhog’s Day, Chinese New Year, 100’s Day, and Valentine’s Day. For the shortest month of the year, it is definitely the most jam-packed with activities. 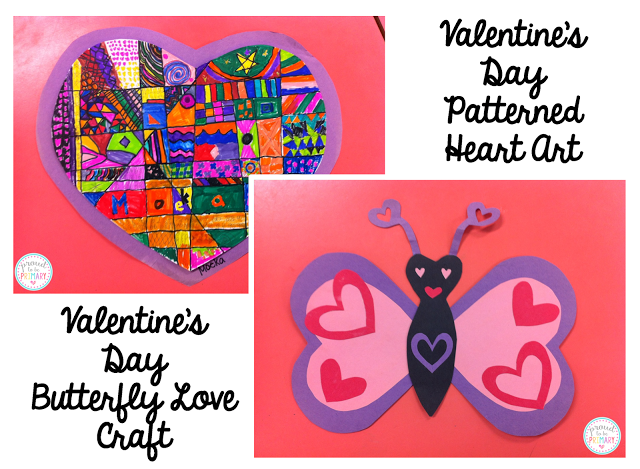 Today I am sharing some of my favourite Valentine’s Day activities for elementary school. Every year we must make something to hold the valentines we make for each other. 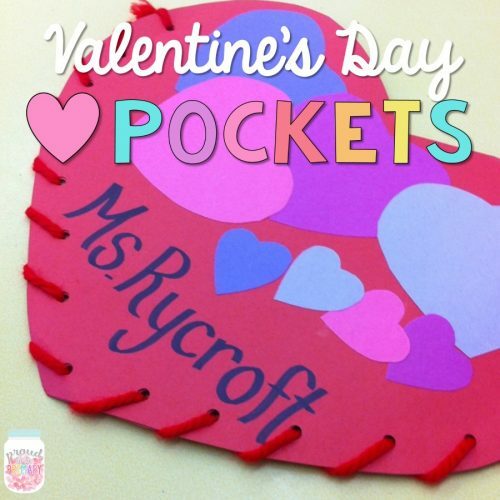 My go-to fav is the heart pocket! 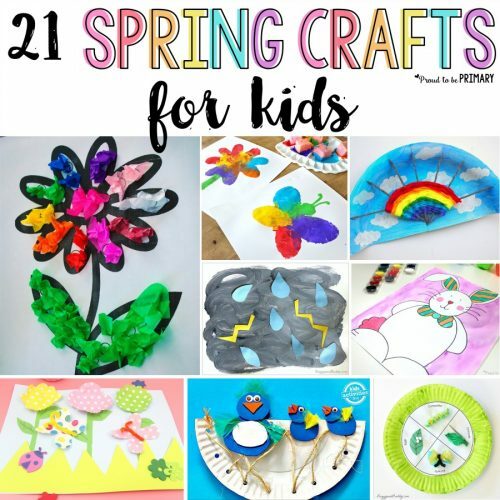 Click HERE to view my full post and instructions on how you can make these in your class. Each year I try to change them up a bit. Sometimes I give them white hearts to draw, colour, and decorate. 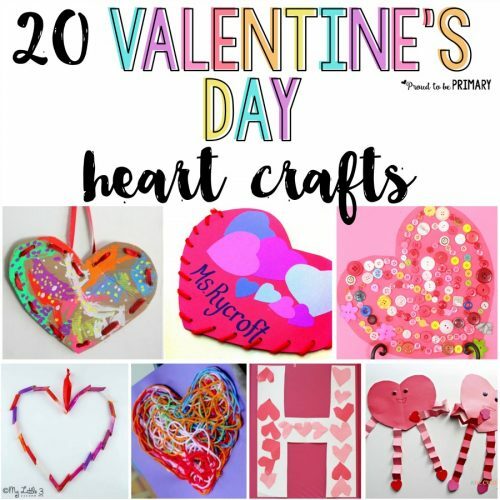 Sometimes we start with red or pink hearts that we decorate with hearts, etc. 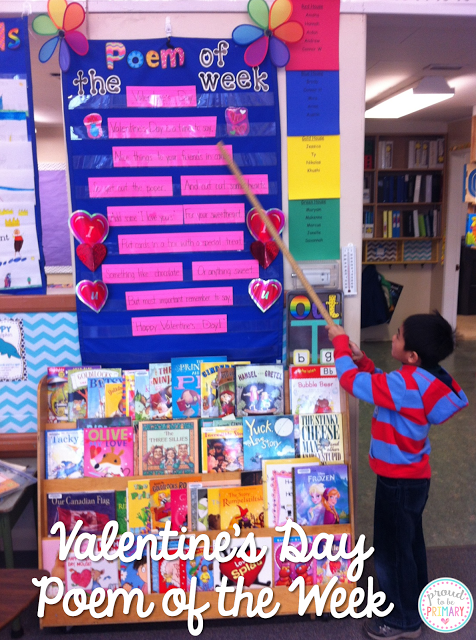 Of course, our poem for the week is about Valentine’s Day! 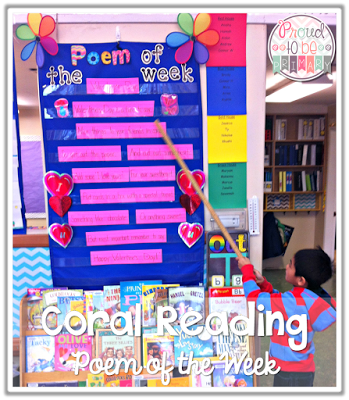 We read and practice the poem all week and complete language arts activities to go along with the poem. 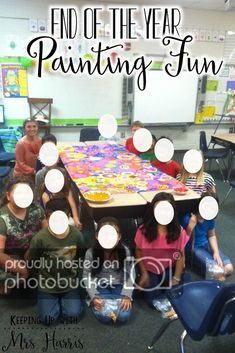 My students love having some “FUN” with learning during these special events. I put together these Valentine’s Day activity books for them to work on during the week for morning work and during free time. 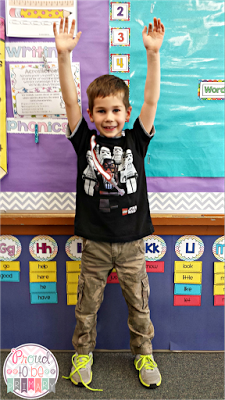 They enjoy them so much, they don’t even realize that they are learning and reviewing skills (compound words, making words, word search, abc order, and much more). 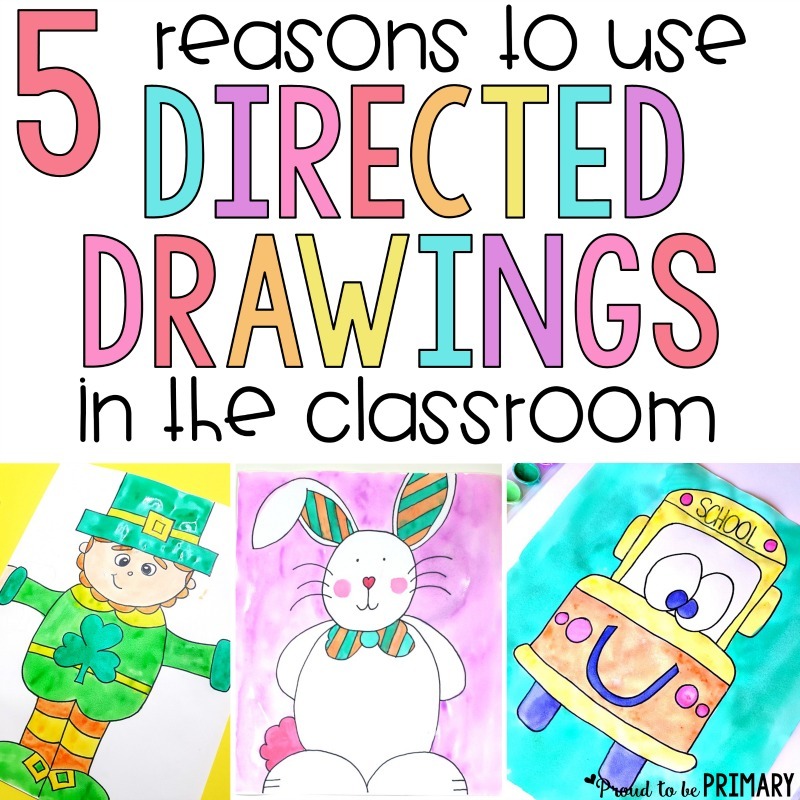 Everyone who knows me, knows how I LOVE teaching art and doing art projects in the classroom. 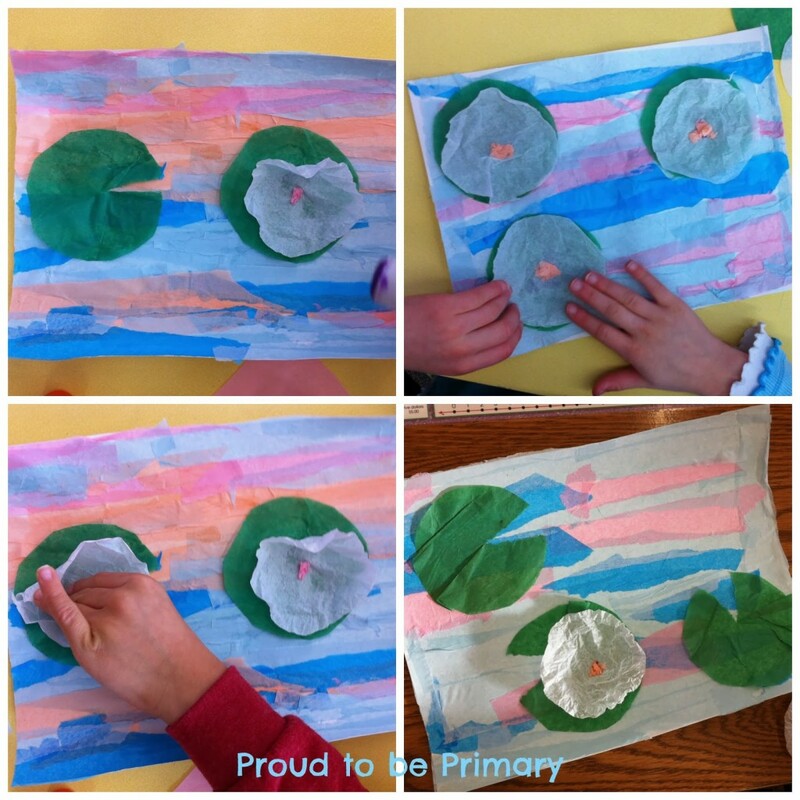 I love having my class fun of colourful projects that my students have created. Many of these projects are based on our theme. 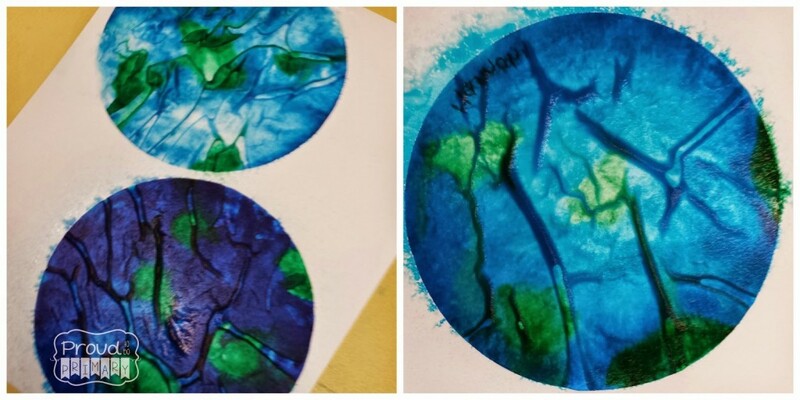 The 2 art projects above are 2 of my favourite projects for Valentine’s Day. Of course, I always give my little Valentines their own valentine from me. 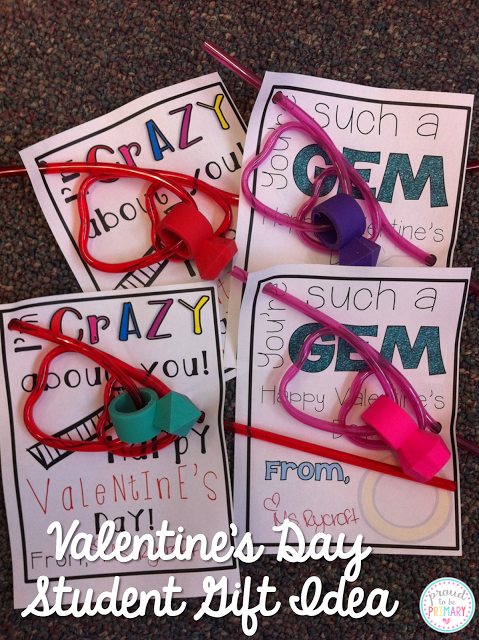 I try to be creative and last year I came across these great non-food printable valentines from Rachelle Smith. I grabbed these awesome heart straws and eraser rings from target to attach to the valentine’s. They were a huge hit. The parents loved them too! 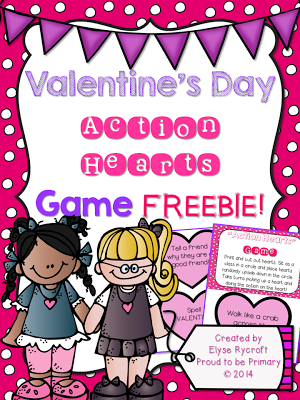 My favourite game to play with my class on Valentine’s Day is called Action Hearts and it’s a FREEBIE for you to download today! To play, simply print out the hearts and cut. 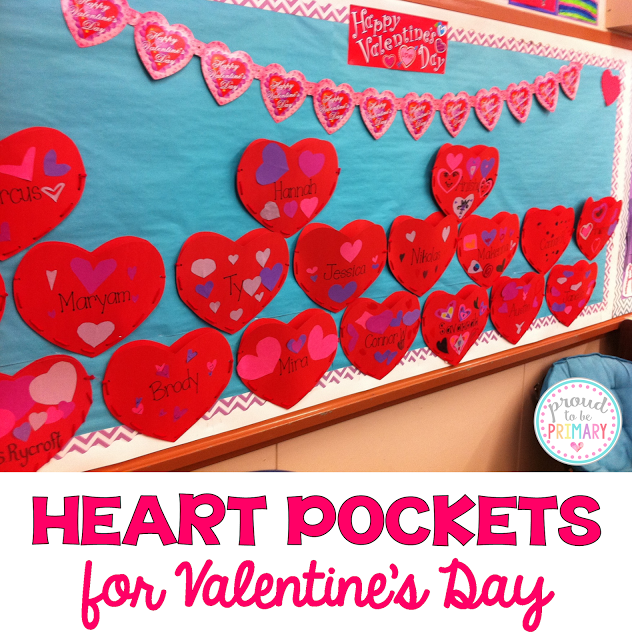 Have your class sit in a circle and lay the hearts upside down all over the carpet. Then take turns turning over the hearts and completing the “actions” on the heart. 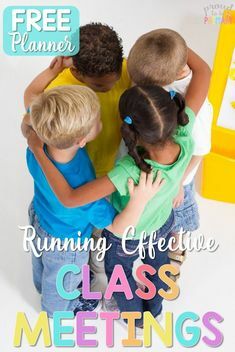 Your class will have a blast acting like animals, spelling words, and telling their friends why they like them! 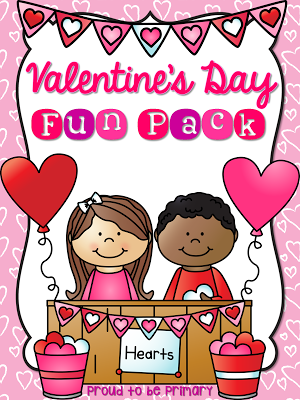 The activities seen in this post are from my Valentine’s Day Fun Pack HERE. Head to my store to check out this pack. 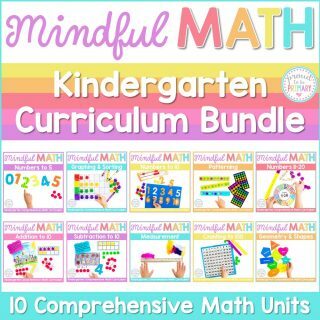 It includes 80+ pages and has language arts, math, and art activities in it. If you want to grab more great freebies and check out other February themed products. 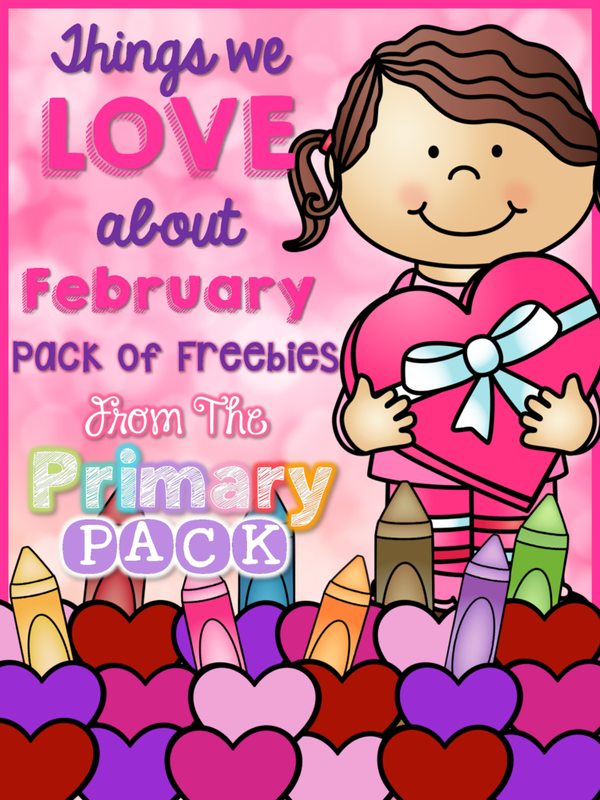 Head to The Primary Pack where you can grab our Things We Love About February Pack of Freebies. 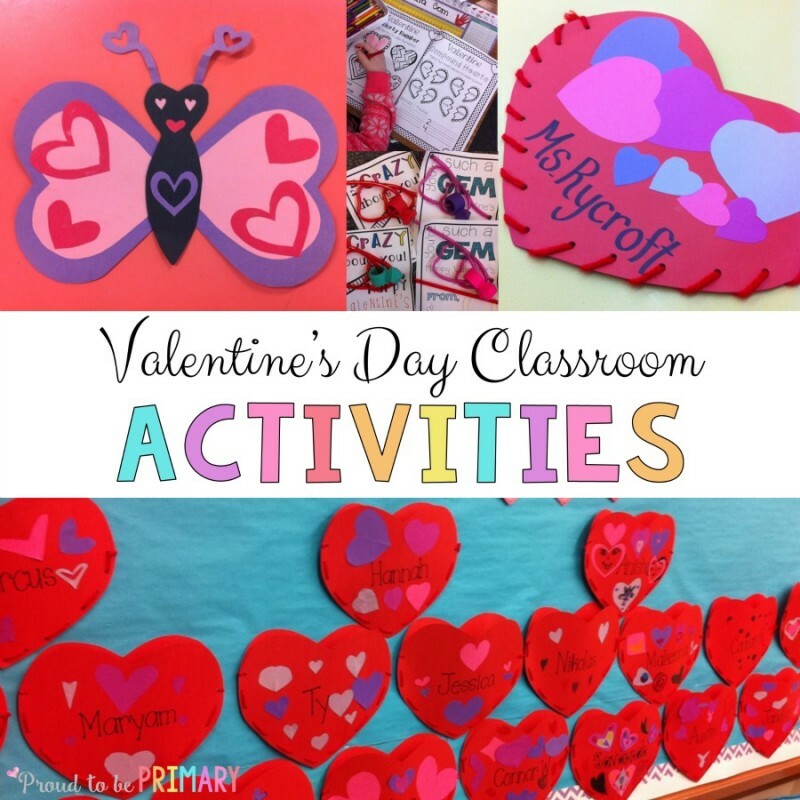 Hope you and your class enjoy February and all the LOVE-ly Valentine’s Day activities for elementary school it contains! 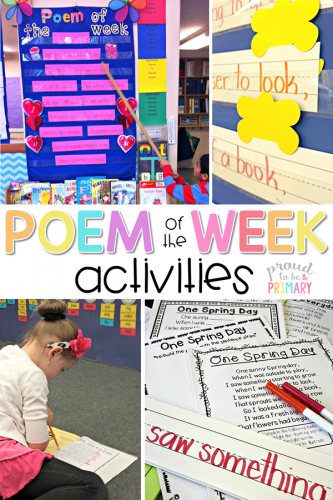 Poetry activities for the classroom, including poem of the week ideas. Read these weekly poems in your classroom (don’t forget to grab FREE poems!). 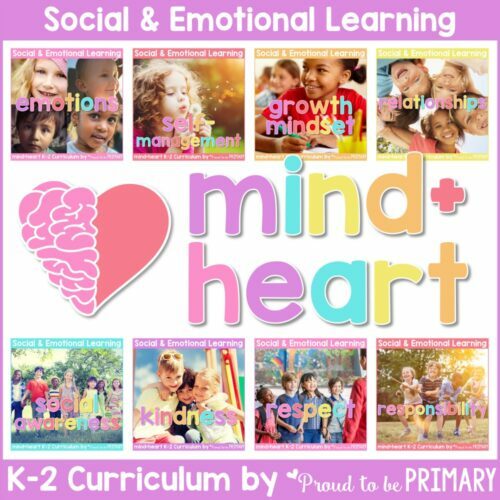 Today, I am here to share something I am passionate about and I think that everyone should teach in their classroom. It’s using POETRY in the classroom! 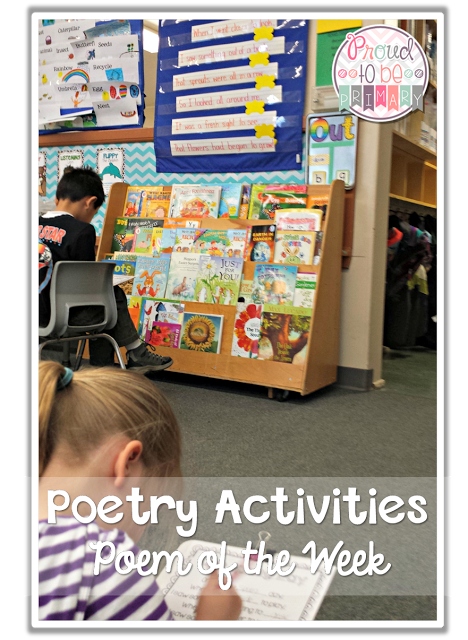 The following poetry activities listed in this post are some of my favorites. Not only do kids find poetry fun and engaging, they can learn how read through the repetition and rhyme it provides. I introduce a poem of the week to my class. 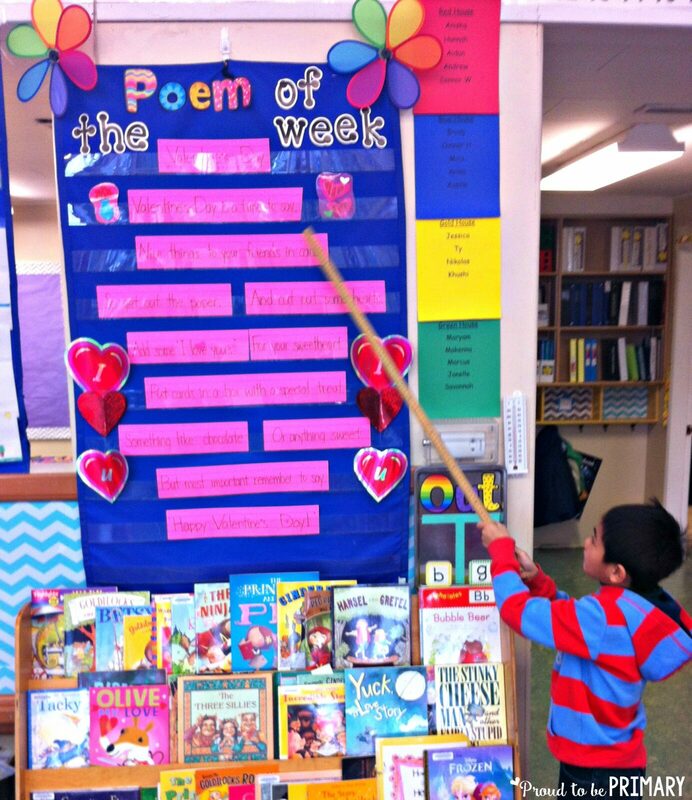 I write the poem out on sentence strips and post them in our big pocket chart. 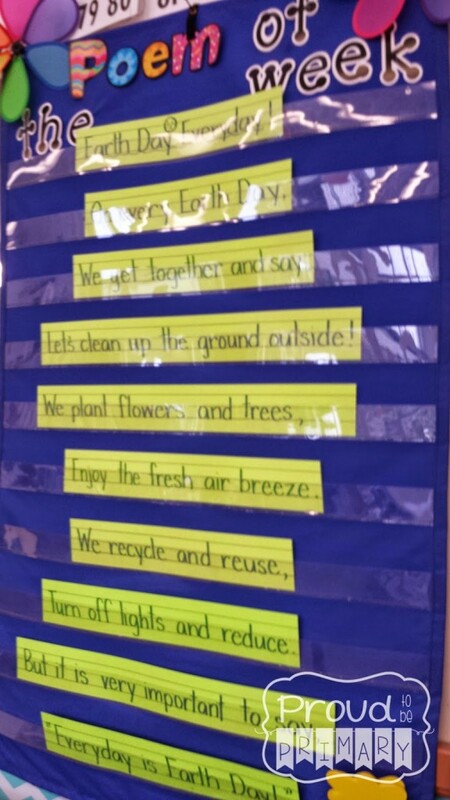 Then every morning, we choral read our poem and add actions. We talk about the meaning of the poem and look for things like rhyming words. 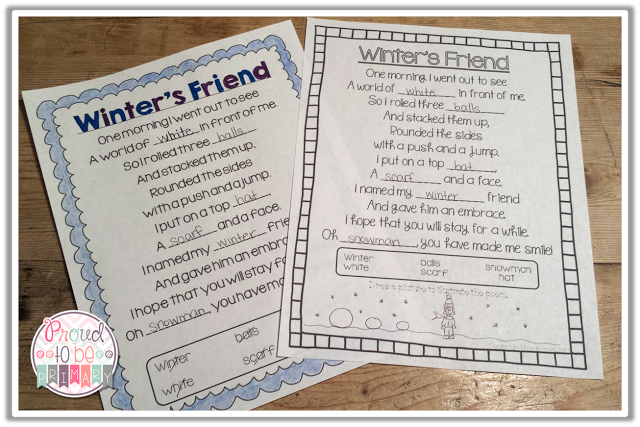 I also provide my students with a copy of the poem to put into their poetry duo-tangs to read during Read to Self time. As part of their weekly homework, I also send a copy at home. I introduce a poem each week that suits our theme, the time of year, or celebrations going on. My poem of the week resources feature a ton of poems for all your themes, celebrations, and topics of study. 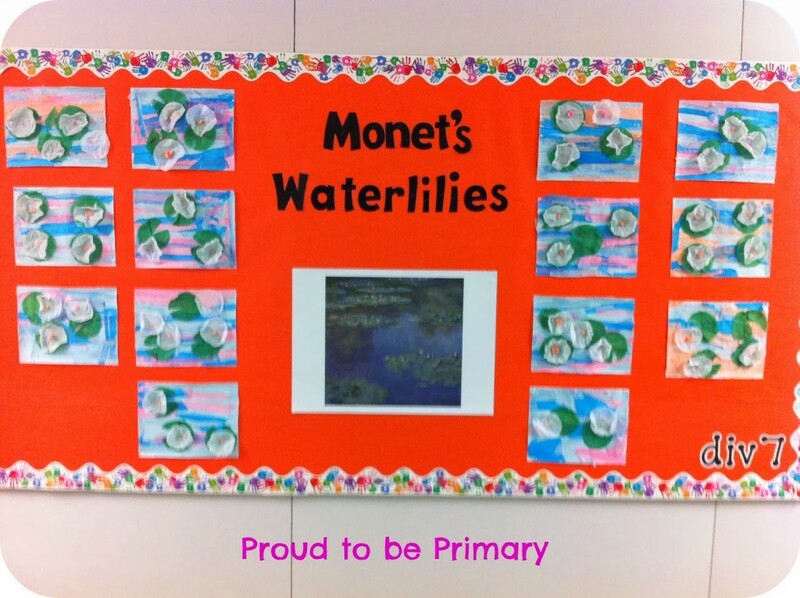 I also use the poem to teach and reinforce various language arts skills. 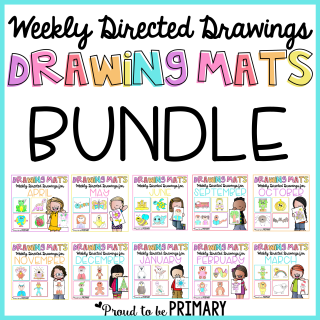 These activities are great for differentiation as they meet the needs of many students, on many levels. 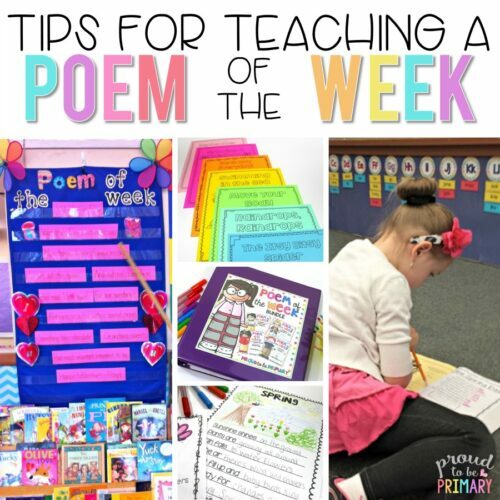 I offer many options for learning the poem of the week. 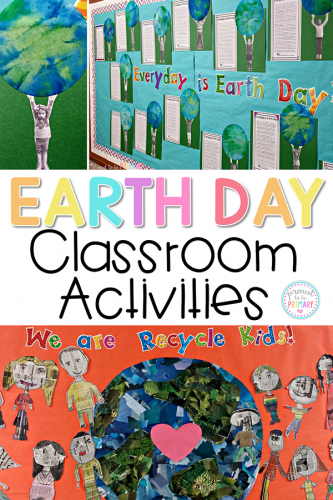 The activities are differentiated to meet the needs of all my little learners! I have students re-write the poem out on lined paper. 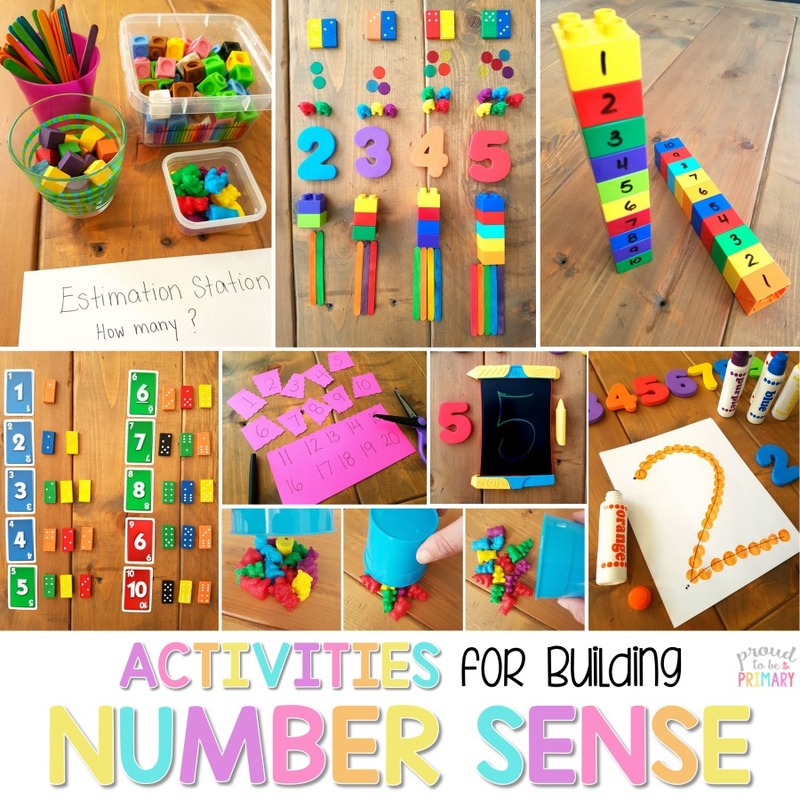 This helps them develop their fine motor and handwriting skills. 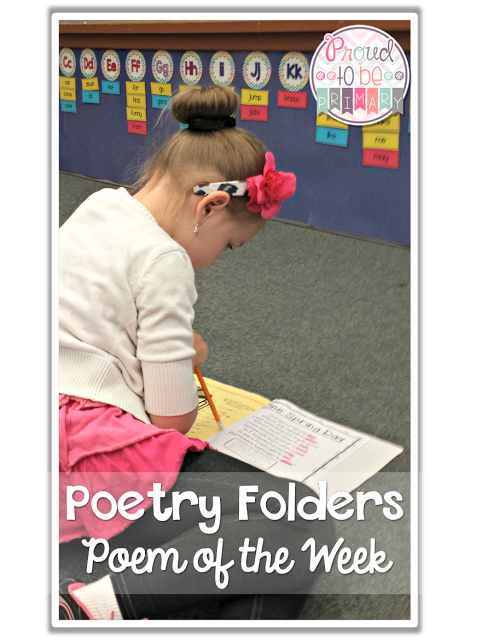 I let my students sit in front of the pocket chart to copy, use their poetry folders to copy, or try to write from memory. Here is another option for writing out the poem. 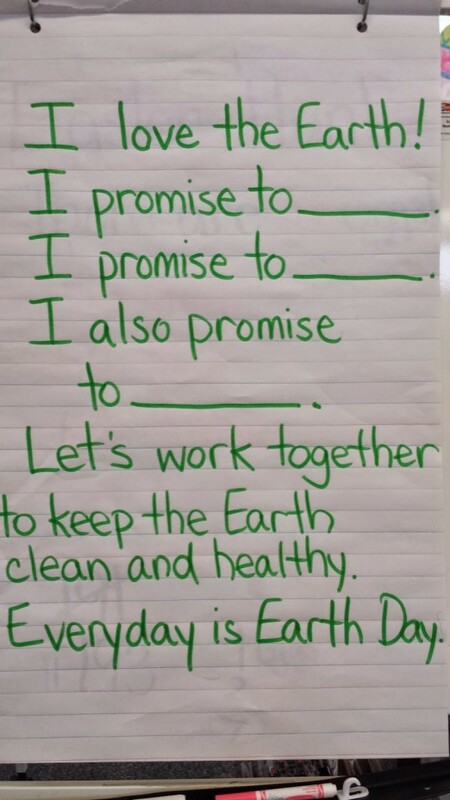 Students only need to finish each sentence. They must be reading and following the poem, in order to complete this correctly. I like to have my students reading the poem as much as possible. 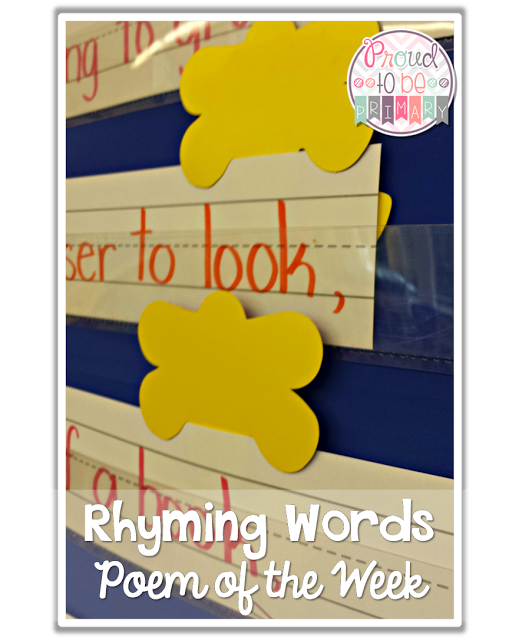 This activity has them searching for words that rhyme and their sight words, as well as drawing a picture that goes along with the poem’s meaning. 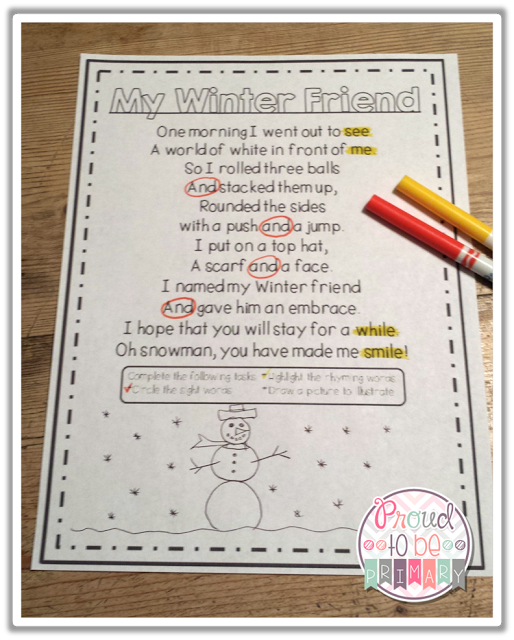 There are 2 different activities where students are given a list of missing words and they must read the poem and write in the correct words. 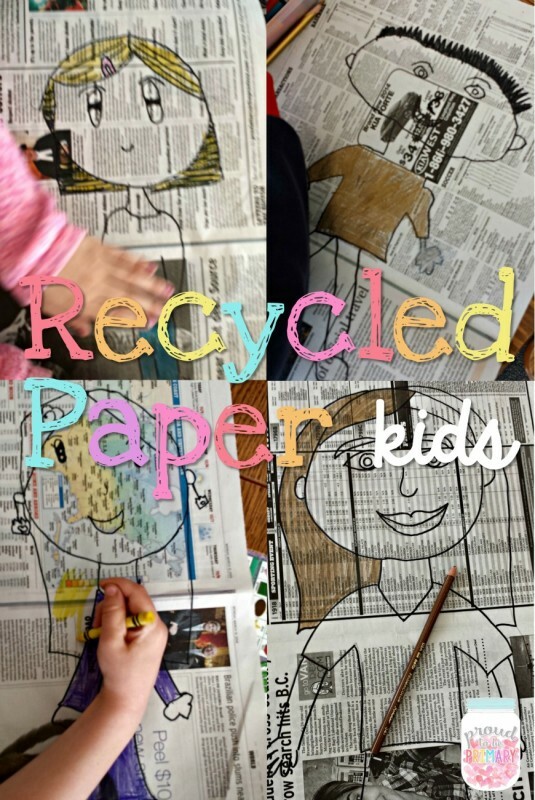 One of the activities has an additional place to draw a picture. They must practice their reading skills to figure out which words from the word list go where. 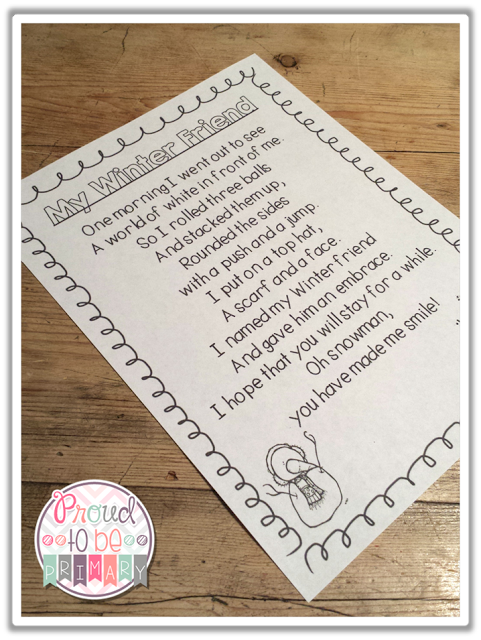 My students love this build a poem activity! 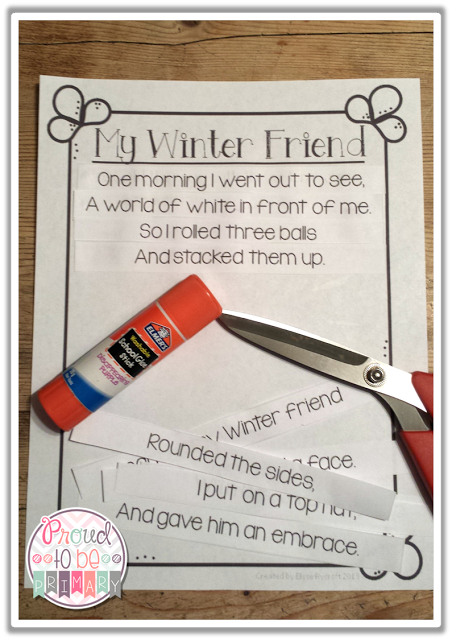 They must cut paper strips with the lines of the poem and glue them in order. The strips are mixed up and students must figure out the right order using their reading skills and knowledge of the poem. 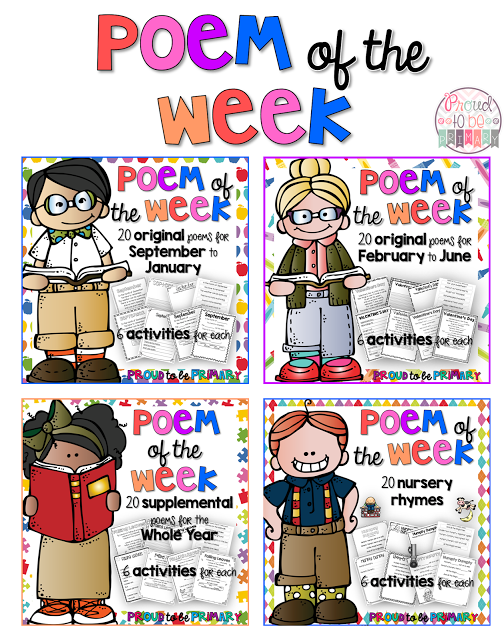 Using these poetry activities each week to build poetry in the classroom has been extremely affective. Children are reading more fluency and are loving the confidence and independence they gain with each week and each new poem. 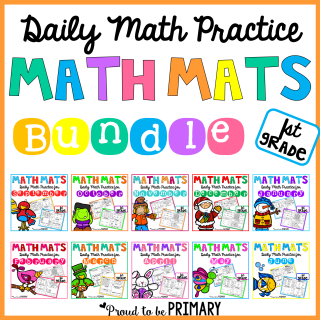 Your students will love them too! 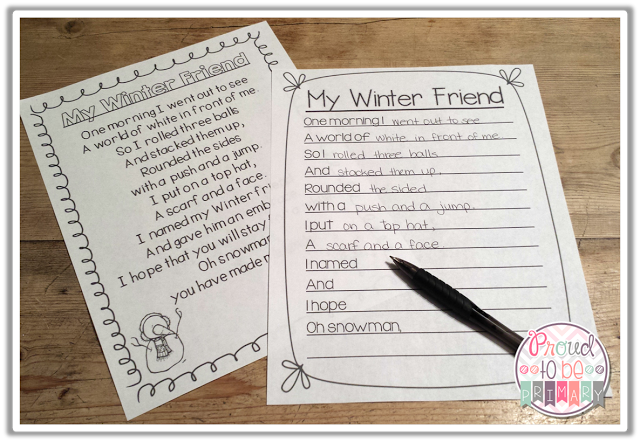 All of the activities for the poem “My Winter Friend” are available for FREE by clicking the image below. The following resources can be easily integrated into the primary classroom and into any language arts curriculum. 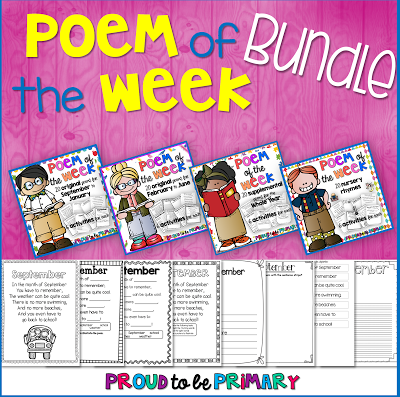 Each offers a wealth of engaging poems and activities to build a ton of skills and a love of poetry! 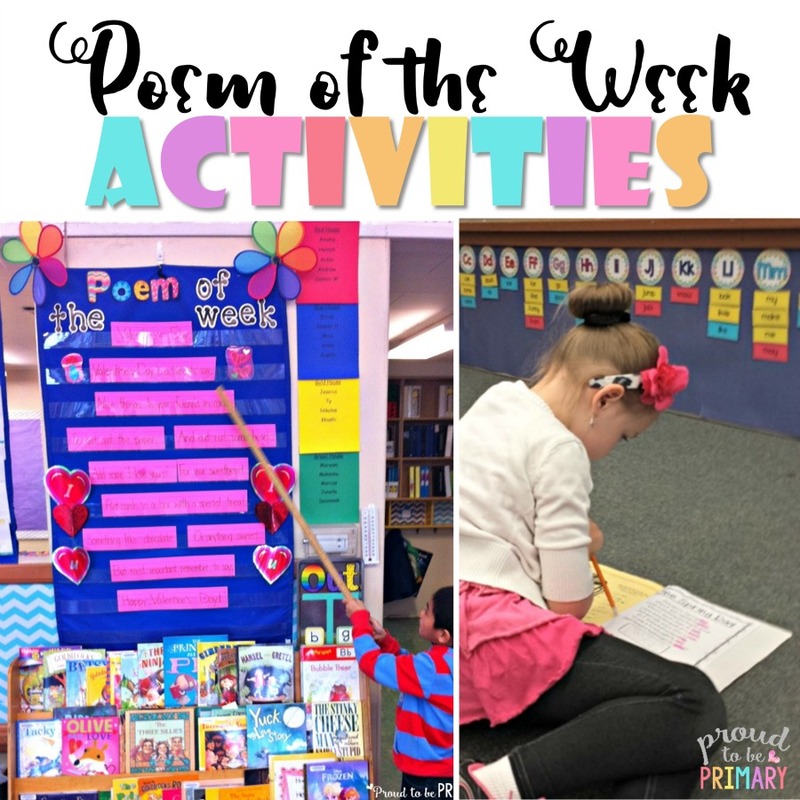 Find MORE Poetry Activities in these Posts! 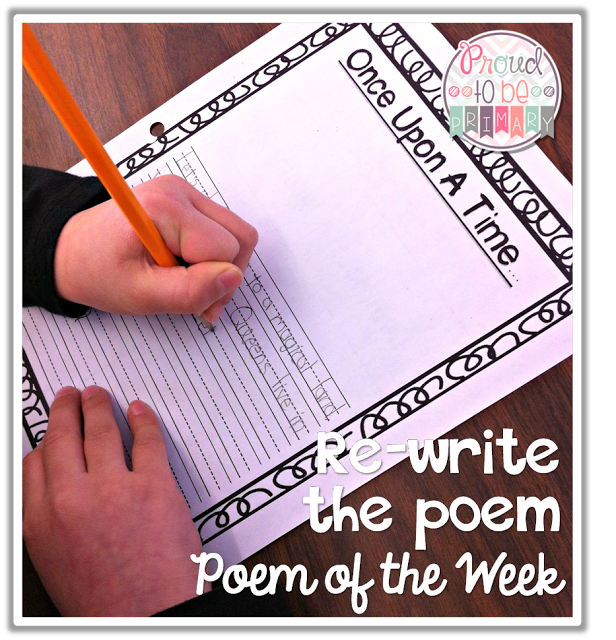 Today, I am introducing my favorite Poem of the Week resources. 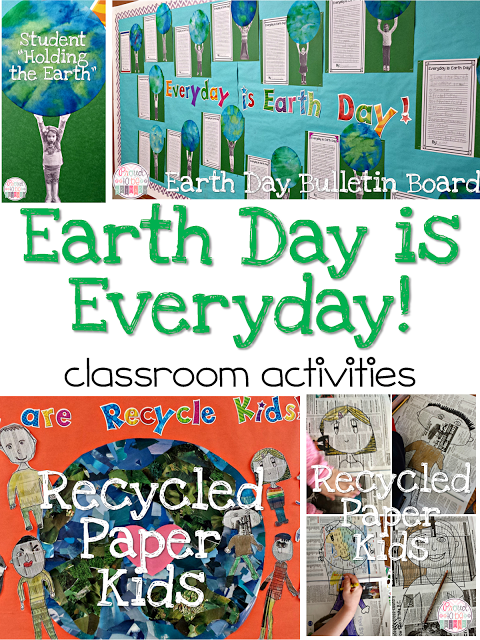 Head HERE to see in detail how I use these resources in my classroom! Each unit features 20 original poems written by me. 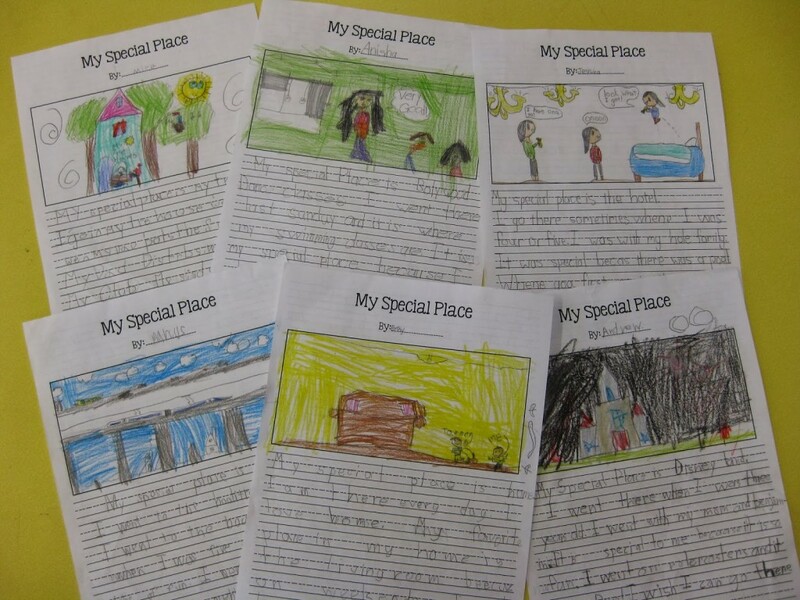 For each poem, you receive 6 different activities to build reading fluency. 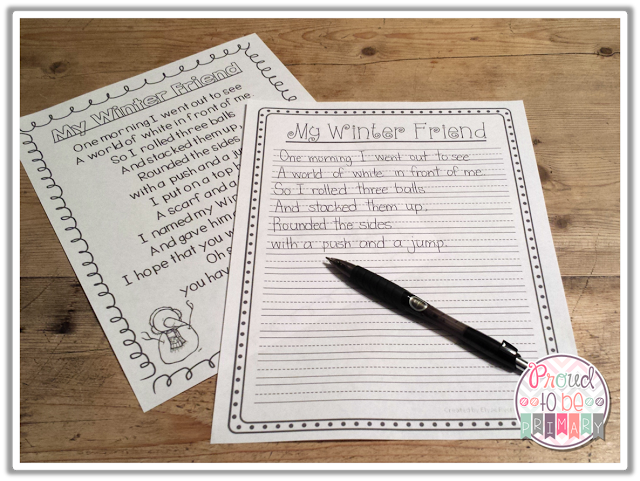 There are 6 activities for each poem depending on your grade level and skill level of your kiddies (differentiated for Pre-K to Grade 2). 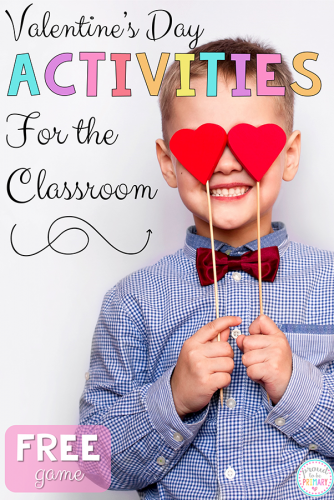 There are many activities to differentiate and meet all your students needs. 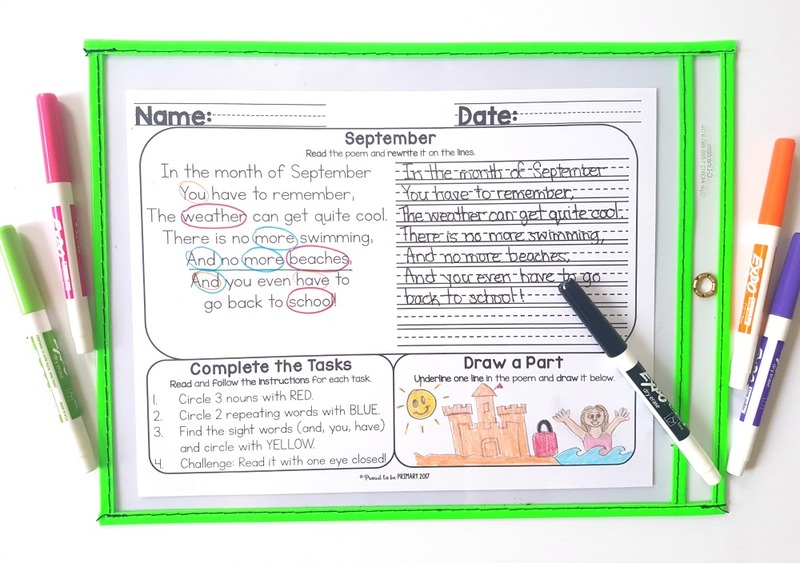 -fill in the blanks + tasks with sight words, rhyming words, etc. 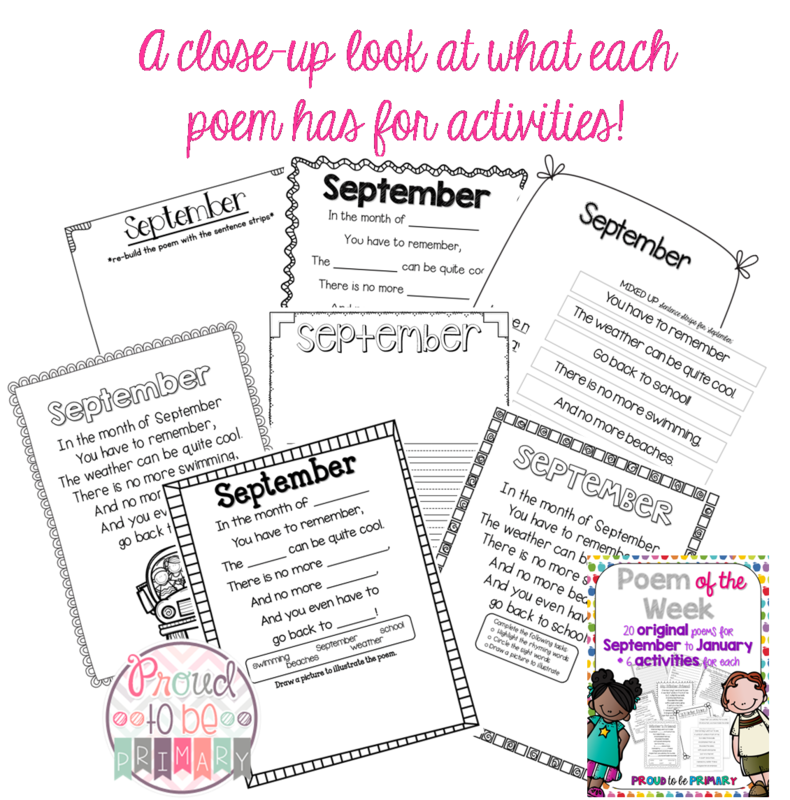 Grab these 2 Poem of the Week resources for your class today! 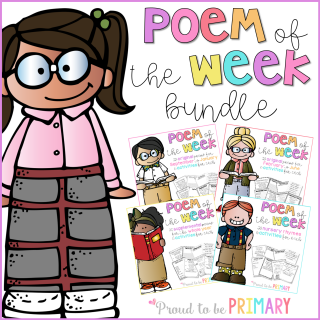 If you are interested in these products, I suggest getting the Poem of the Week Bundle for a great value (4 packs for the price of 3). Also available is my BEST SELLING Poetry Writing Pack HERE.